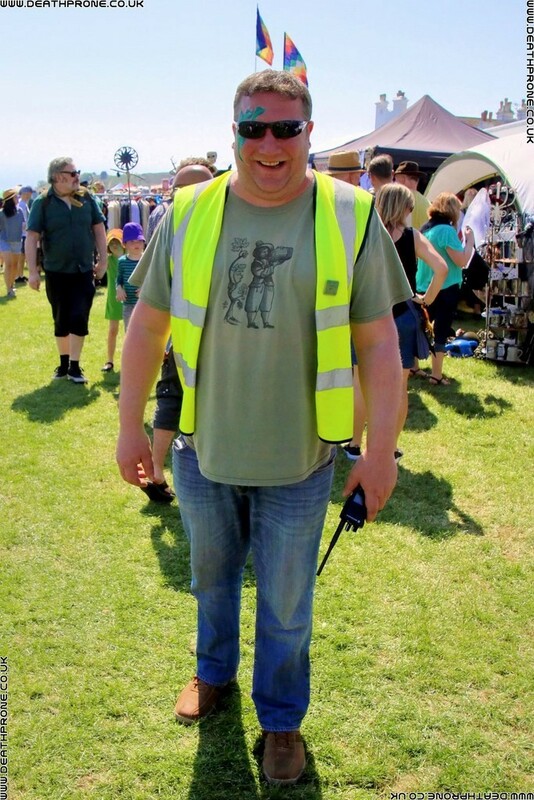 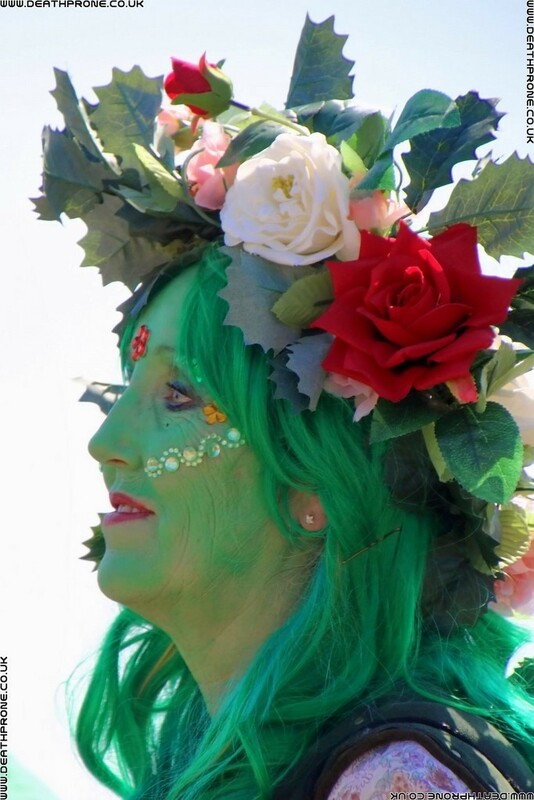 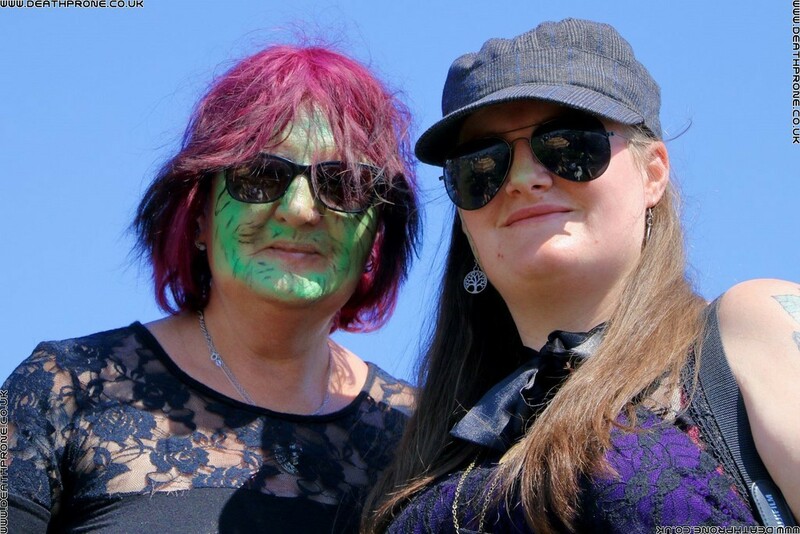 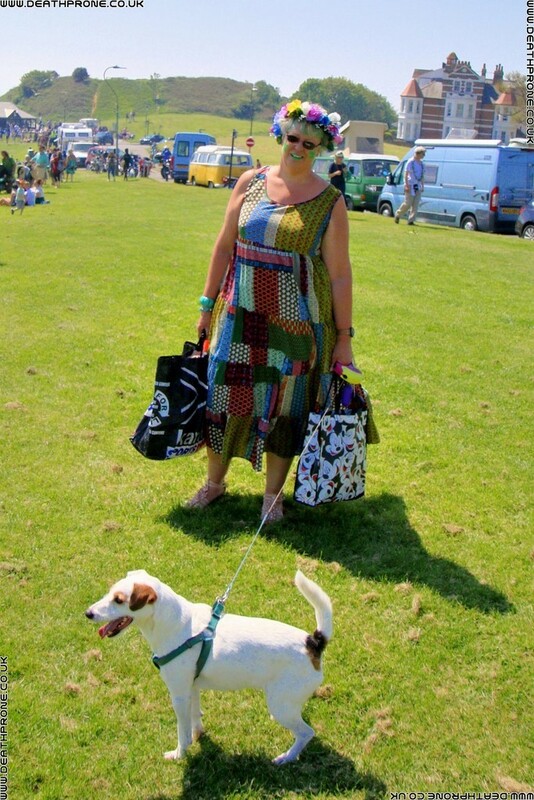 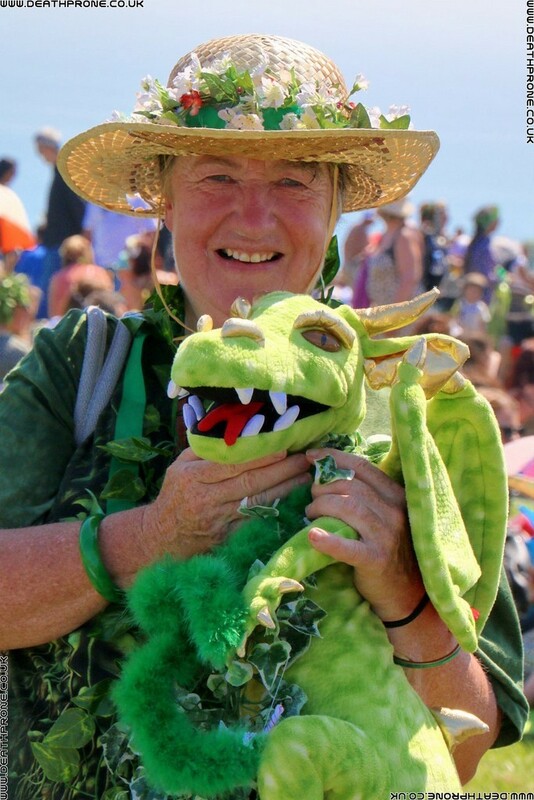 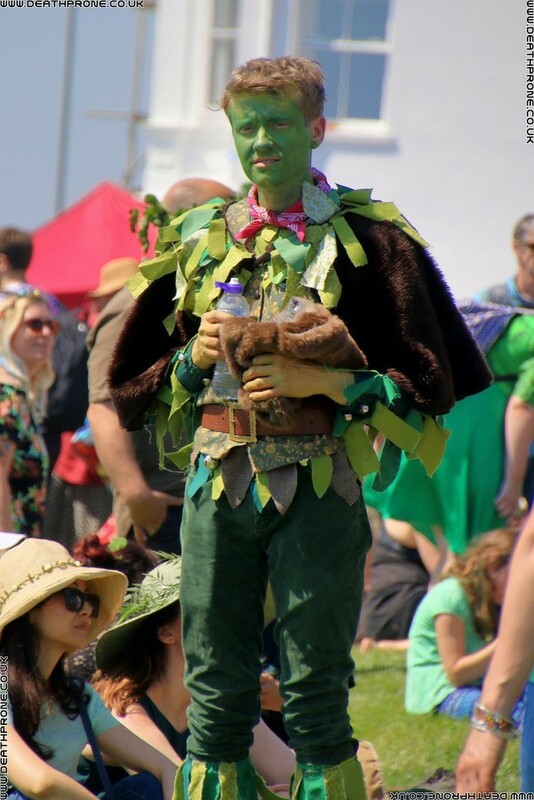 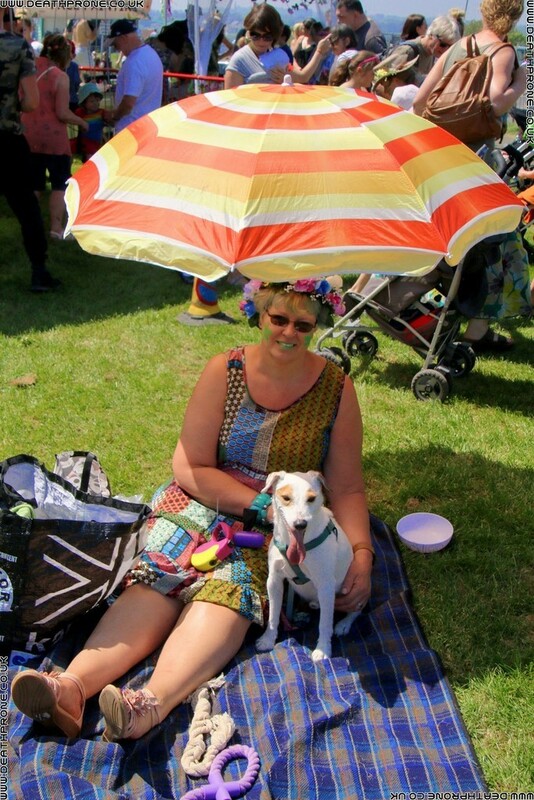 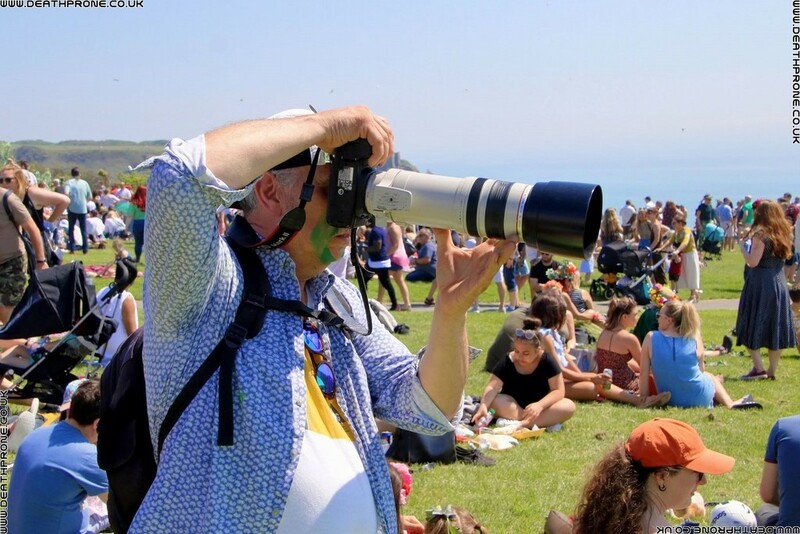 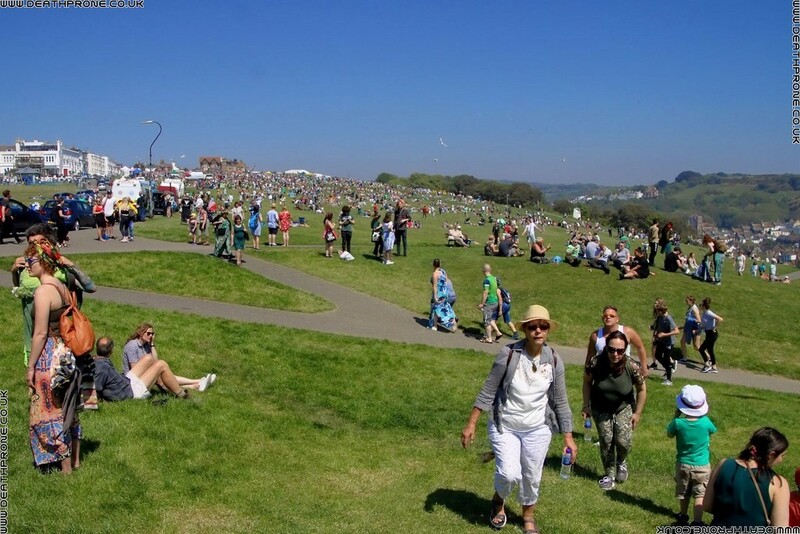 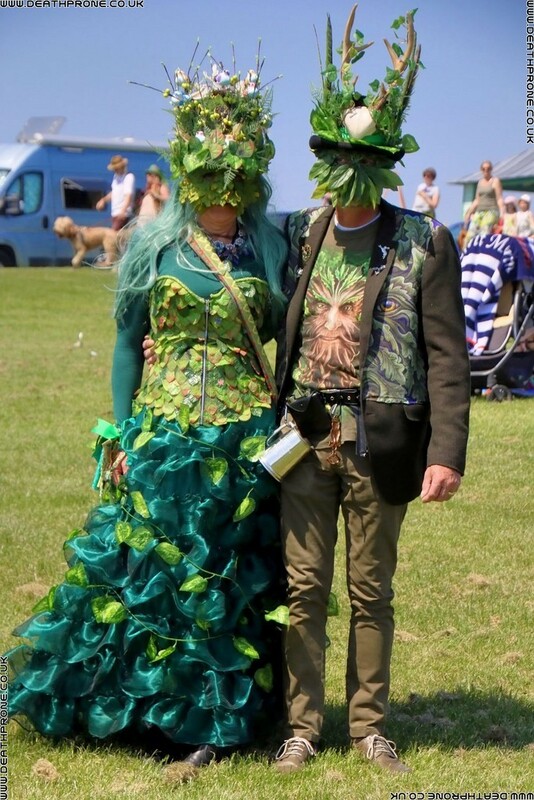 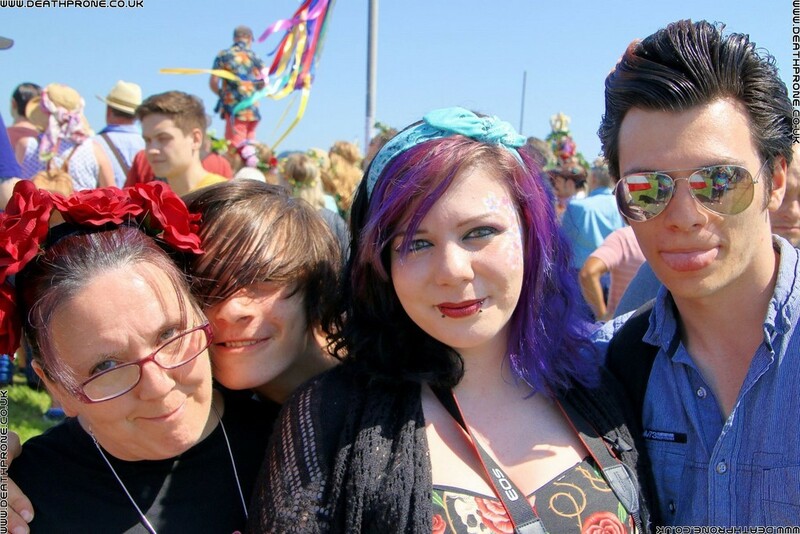 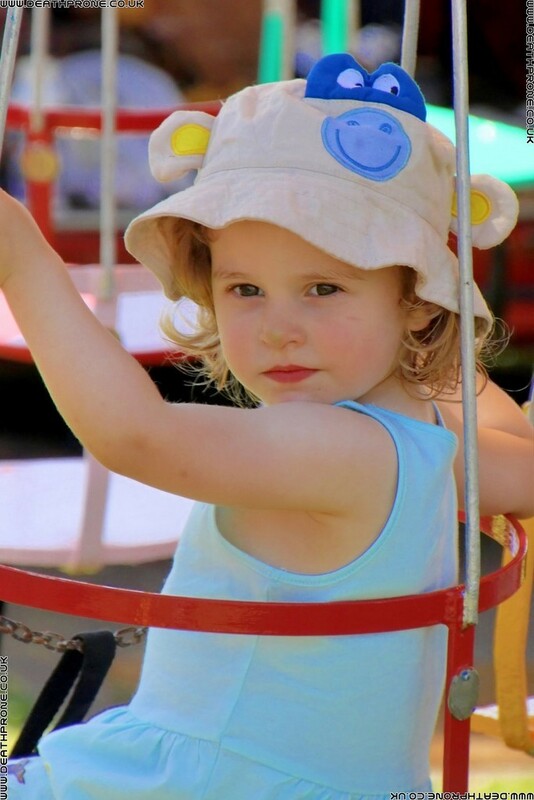 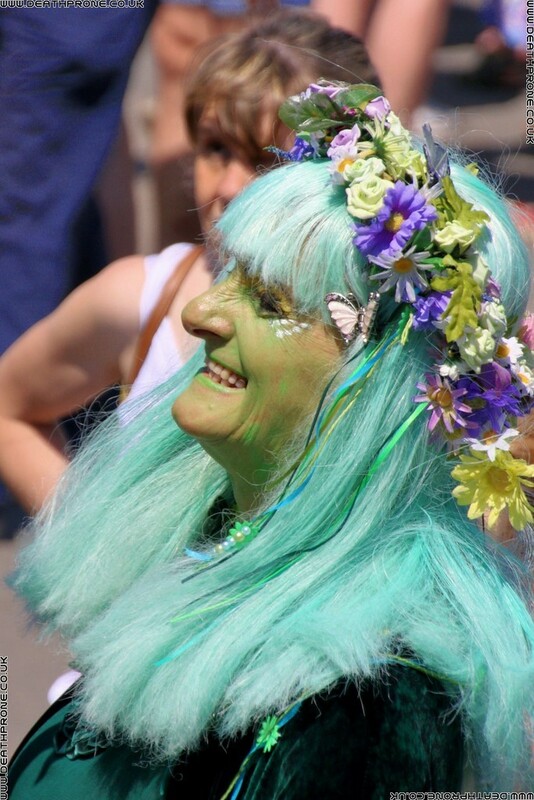 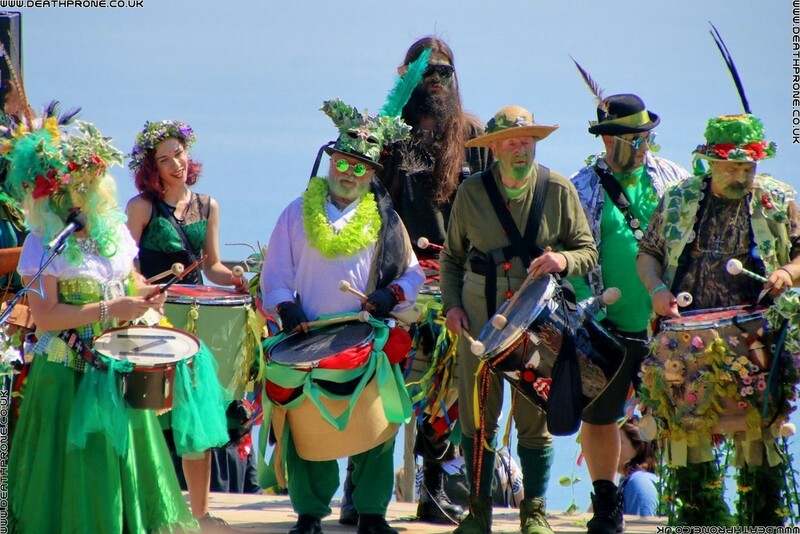 Jack in the Green is an amazing event held every year in Hastings, East Sussex. 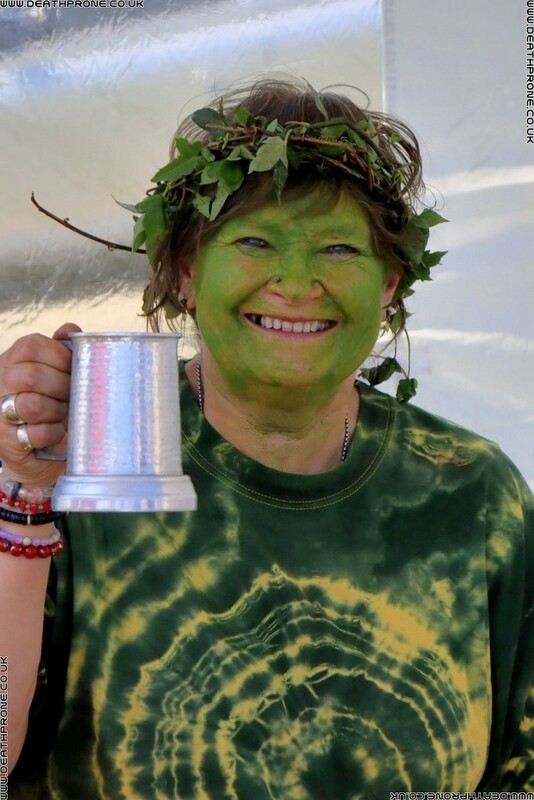 It's based on a pagan tradition which the very simplified version of is Jack who runs the winter side of the year is killed so the summer half of the year can begin and release the spirit of summer for this year, don't worry, Jack always returns in time for next winter! 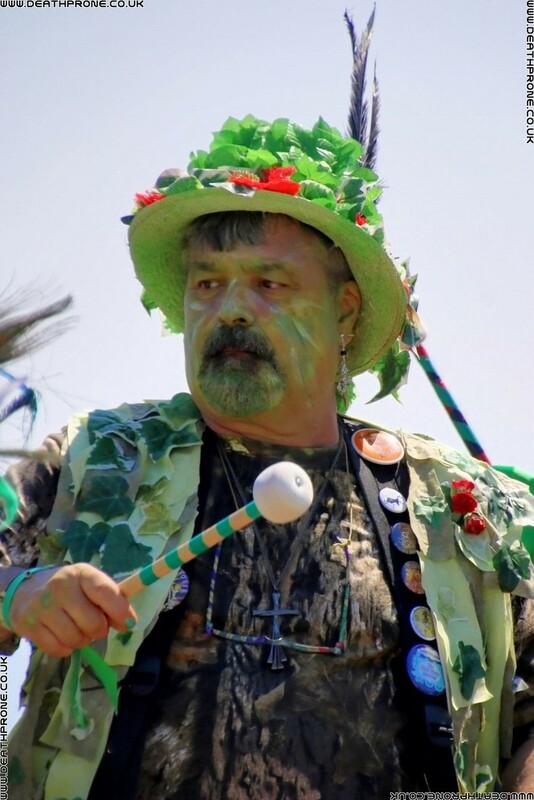 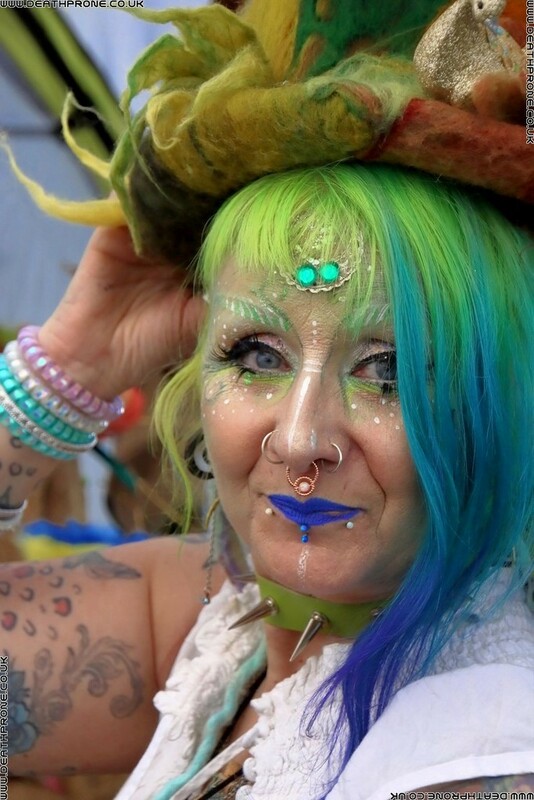 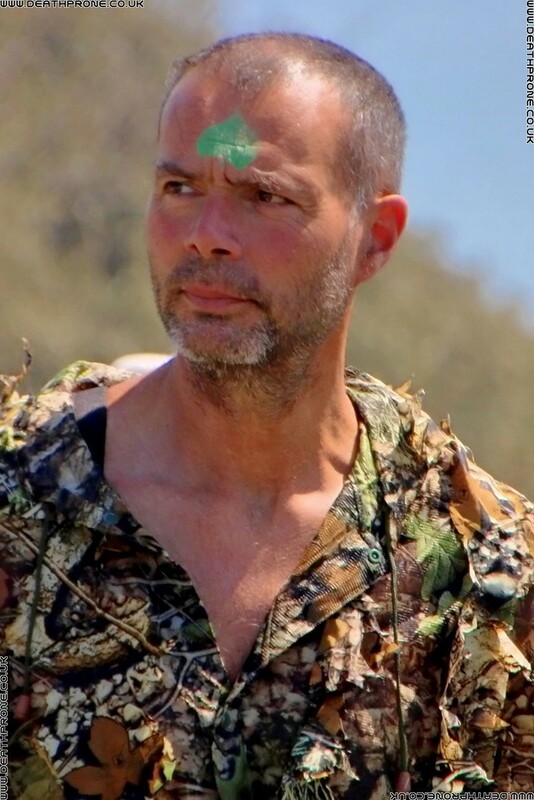 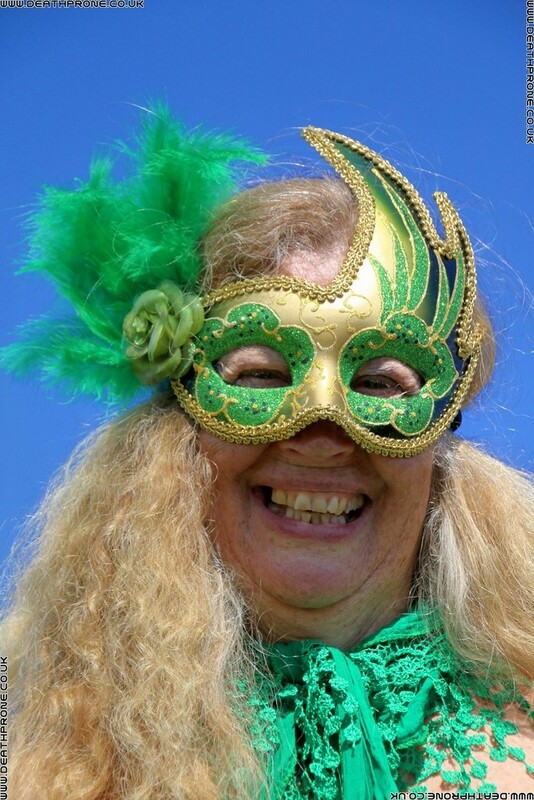 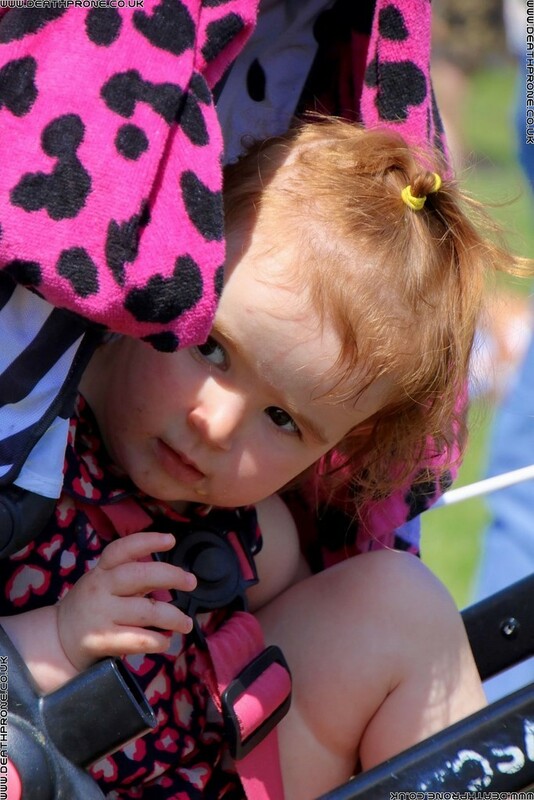 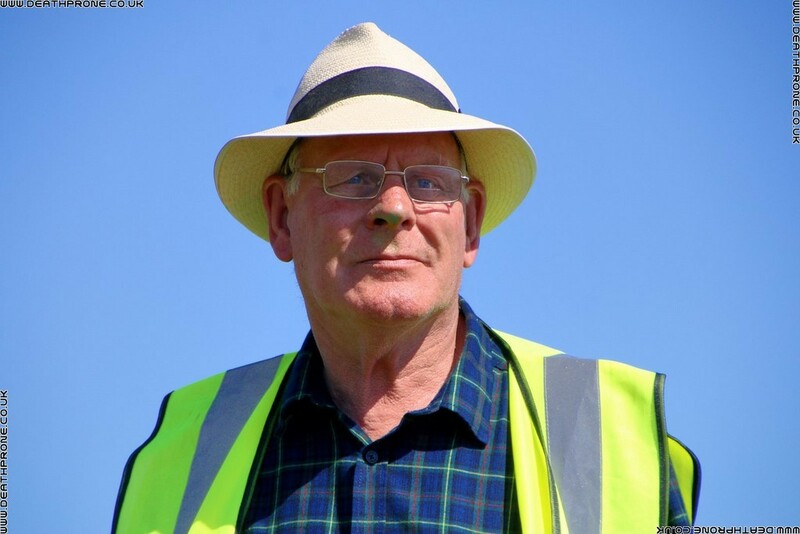 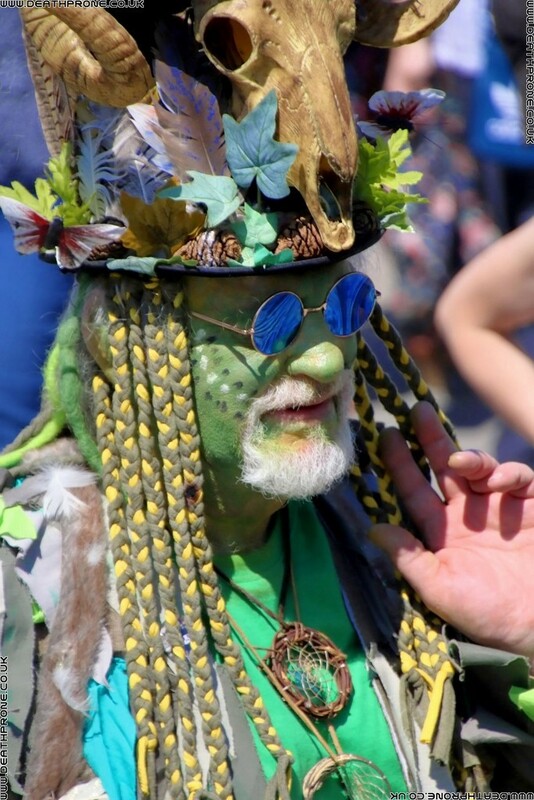 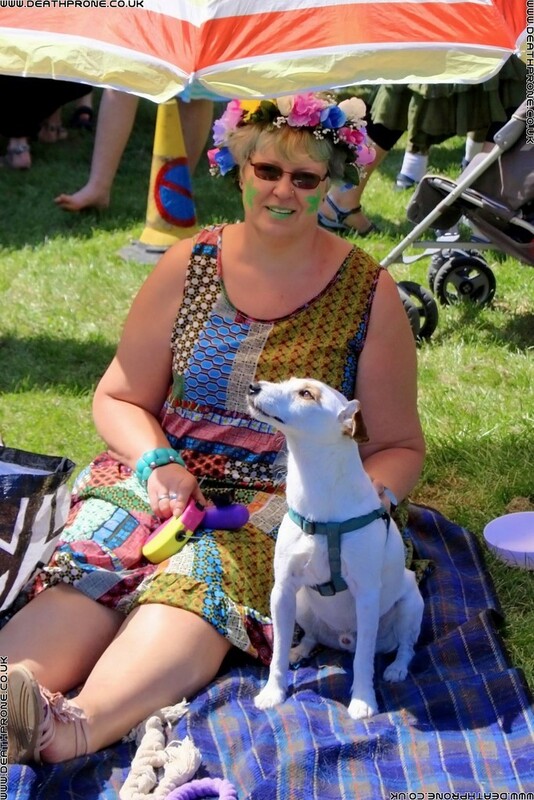 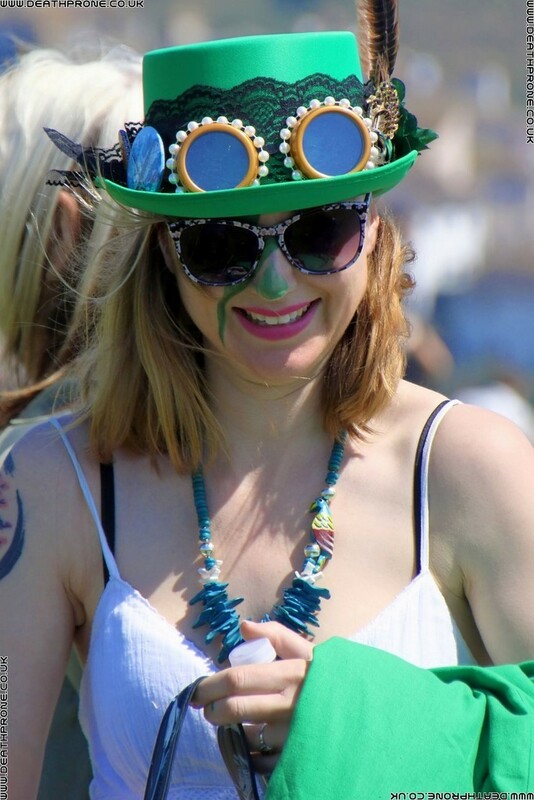 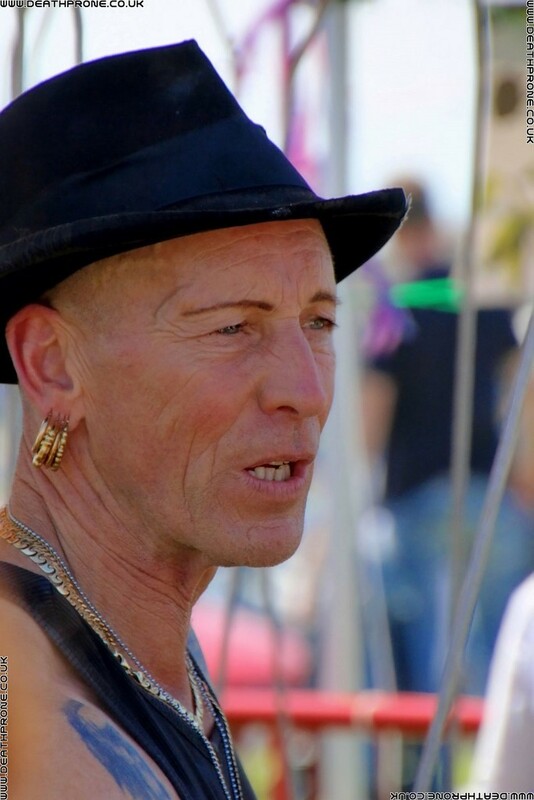 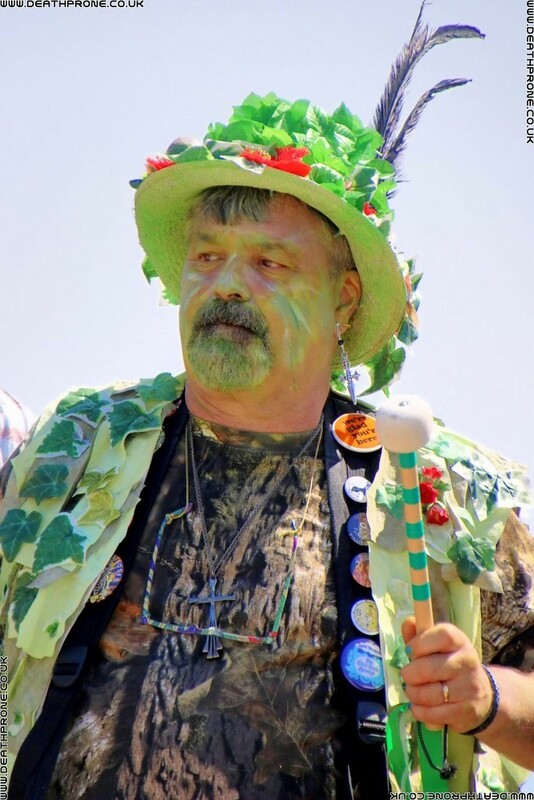 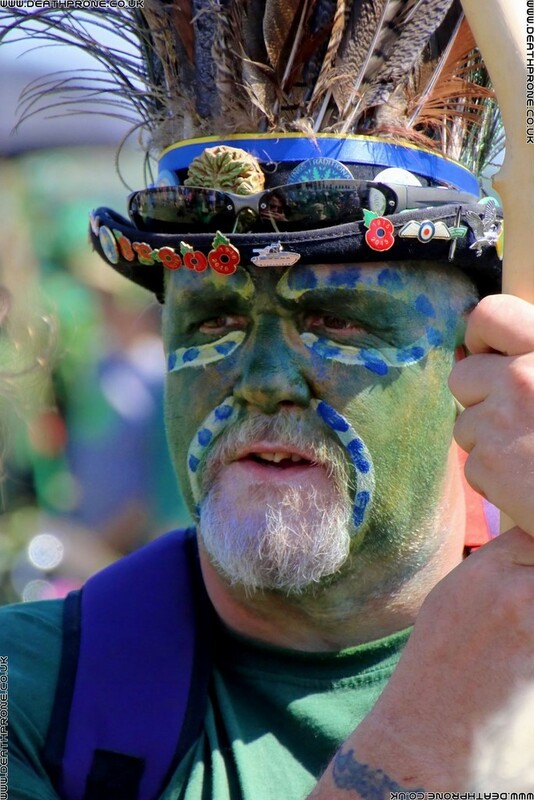 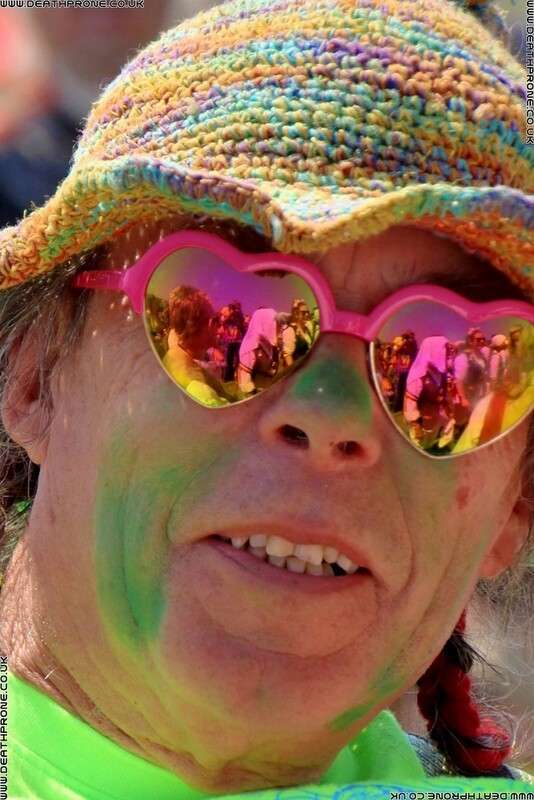 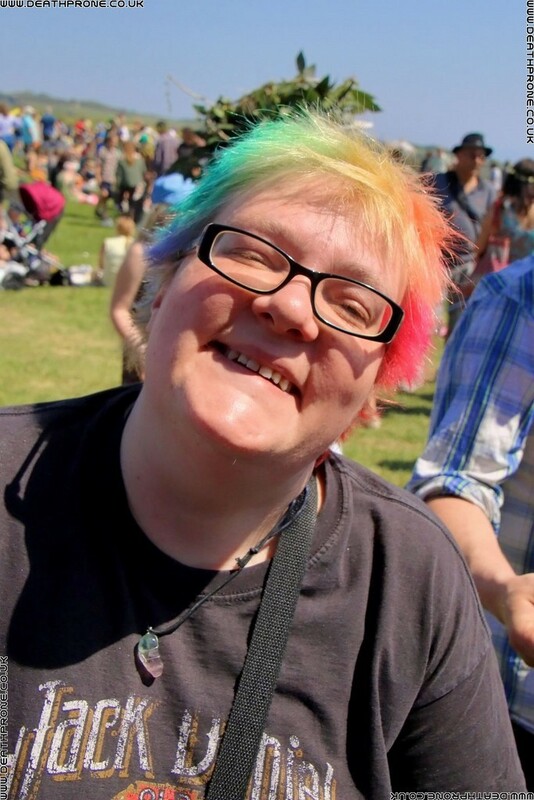 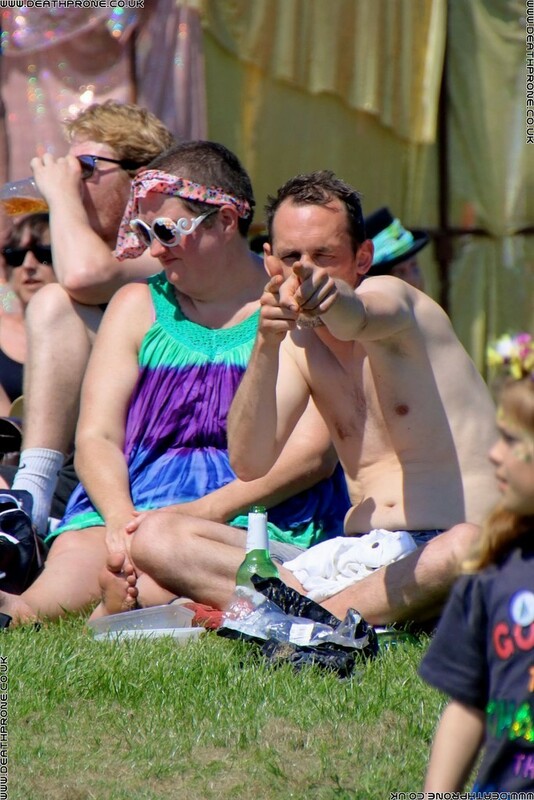 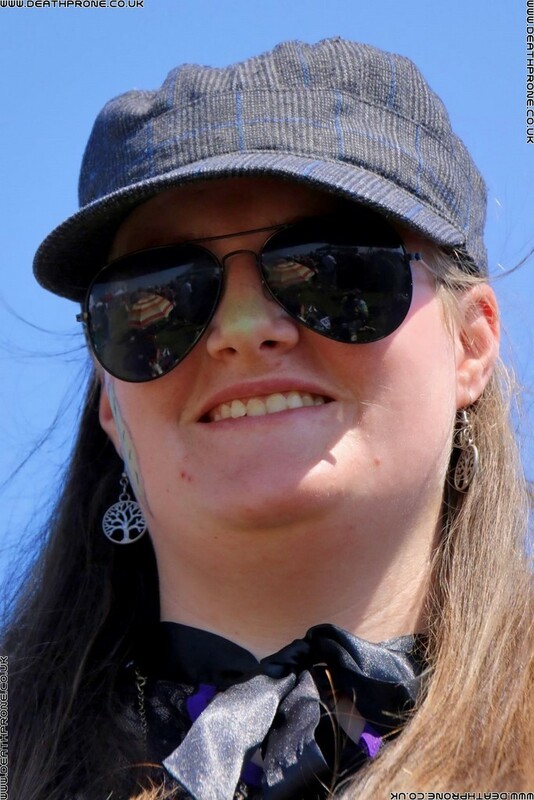 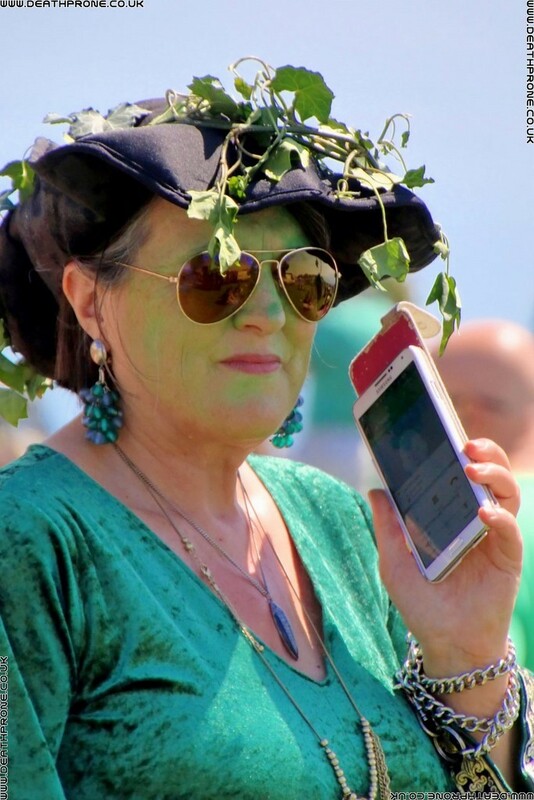 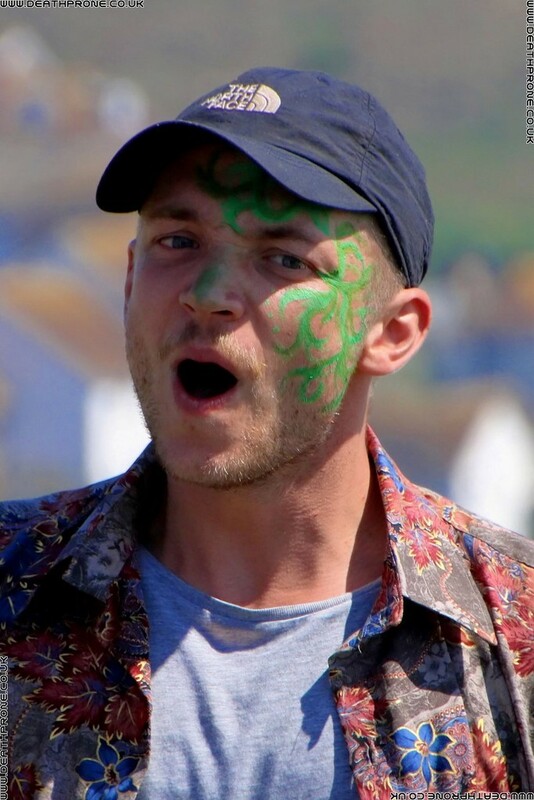 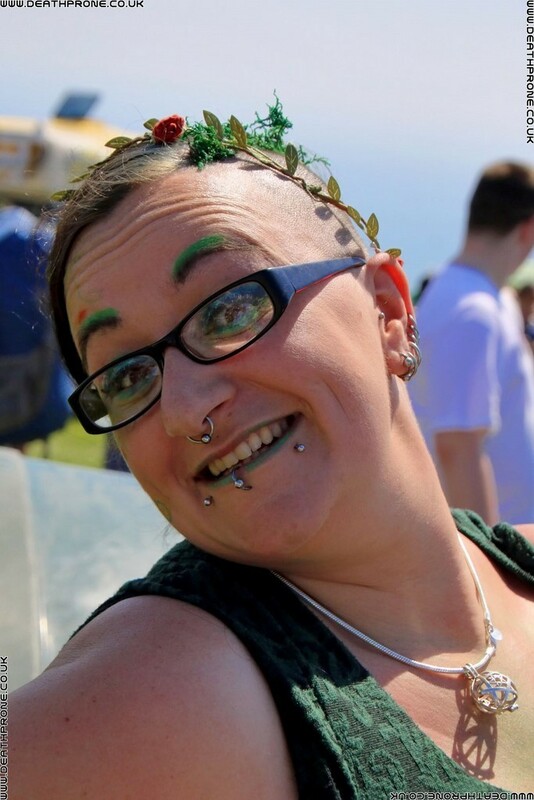 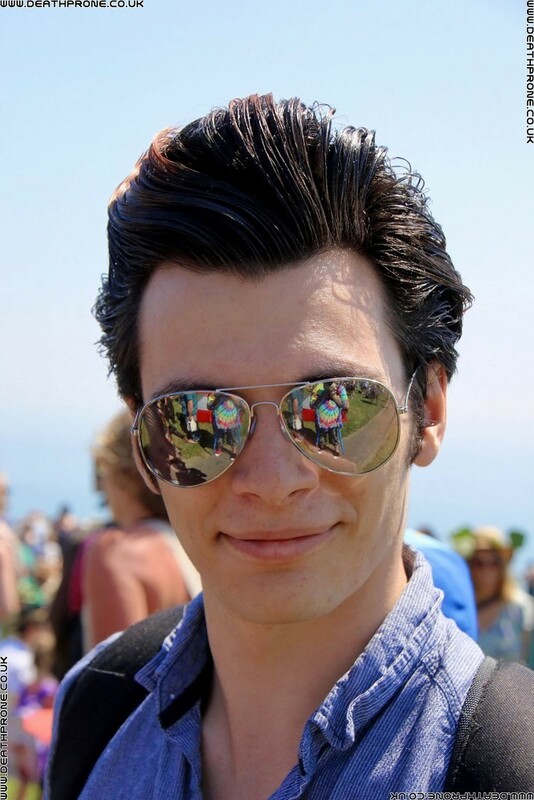 :) The event has been described as 'thee celebration of Morris dancing and traditional merriment, centering on the symbolic figure of Jack in the Green and culminating in a wild costumed parade - one of the most bizarre in Britain.' 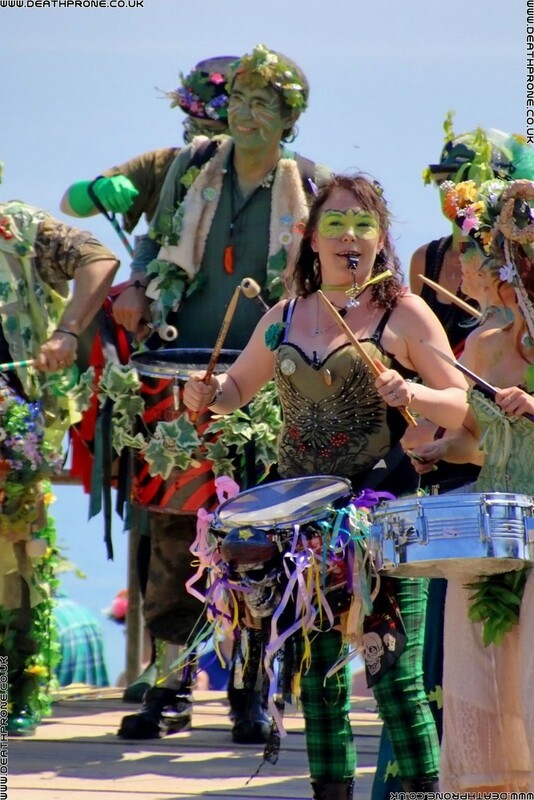 There is a big parade of hundreds of people, mostly drummers and morris dancers that goes all around Hastings Old Town, ending up on West Hill where the slaying of Jack happens, plus there are performances up on the stage! 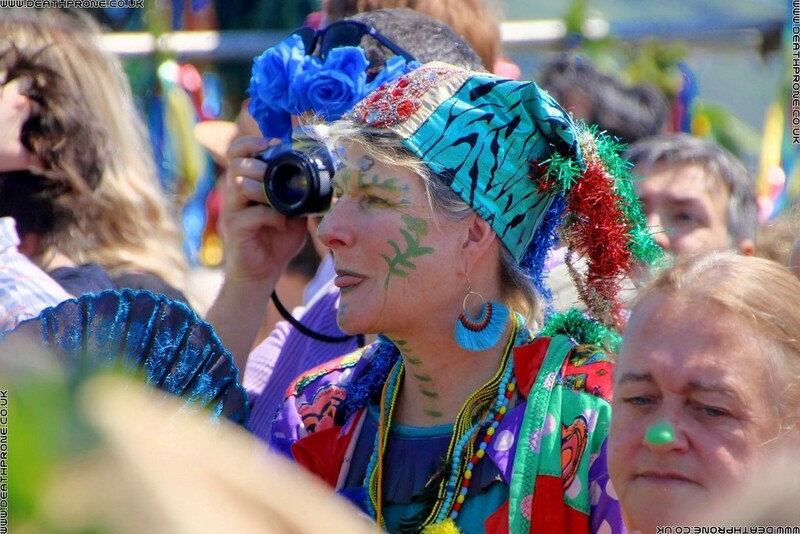 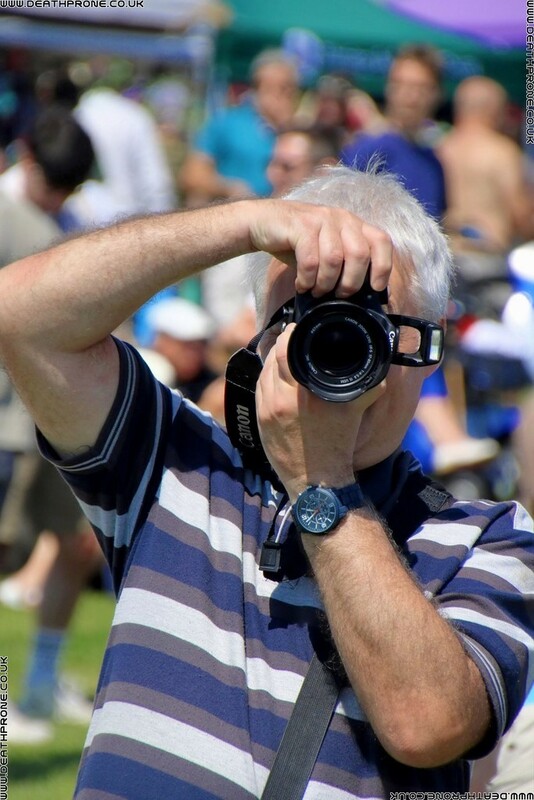 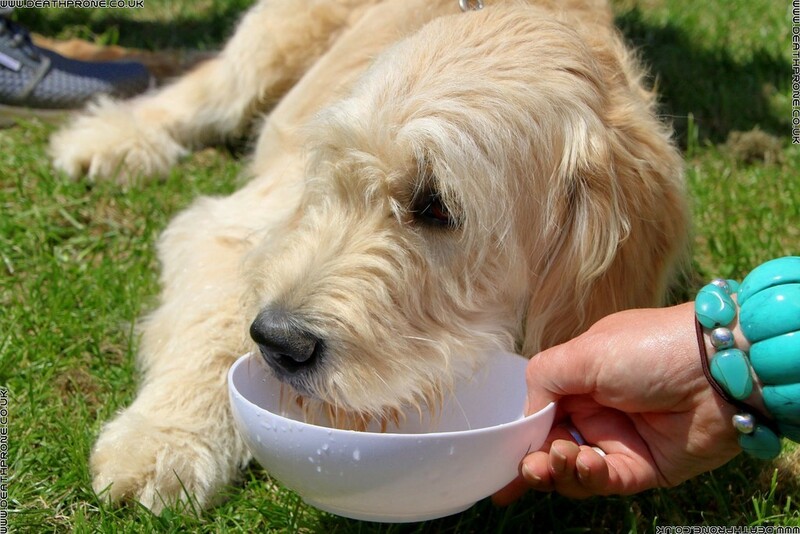 It is a huge festival feel event that thousands of people go to every year! 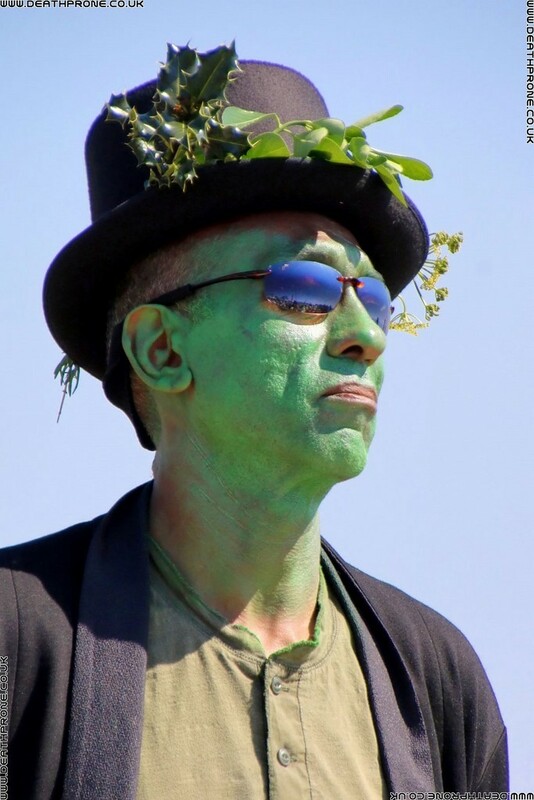 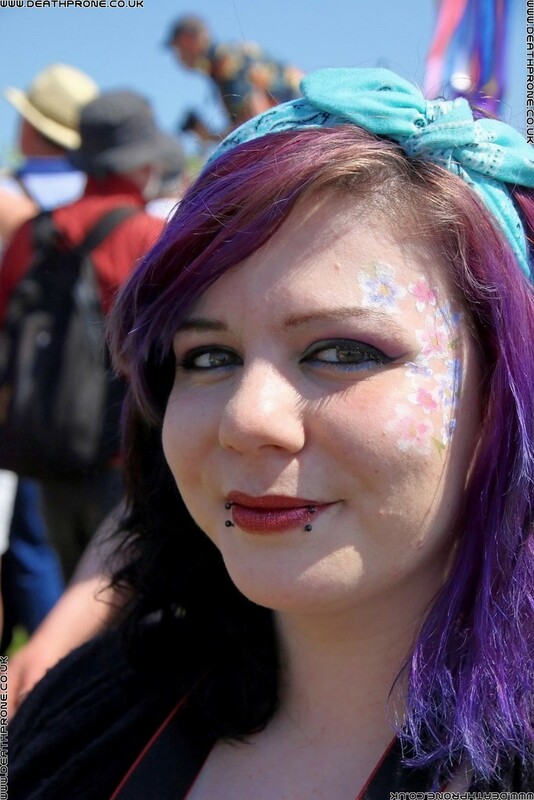 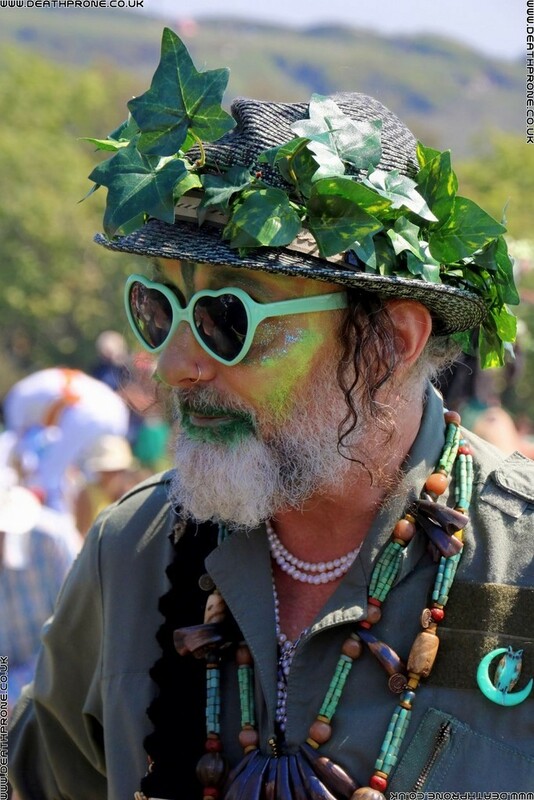 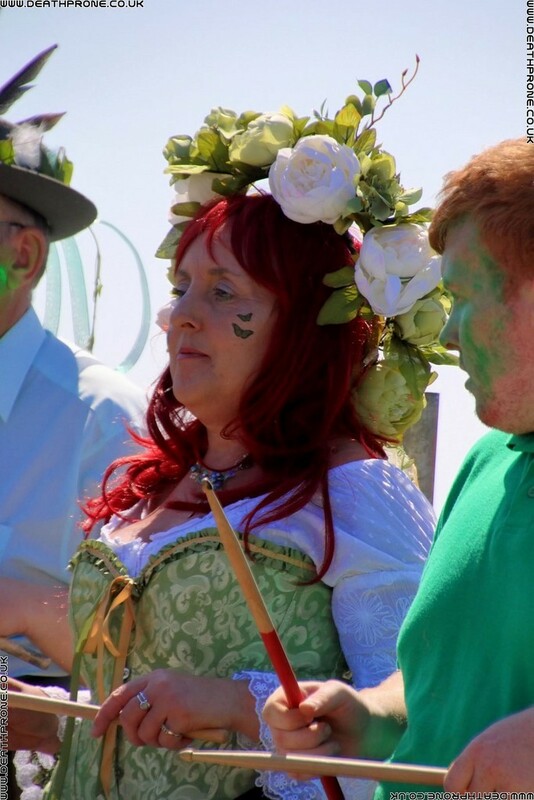 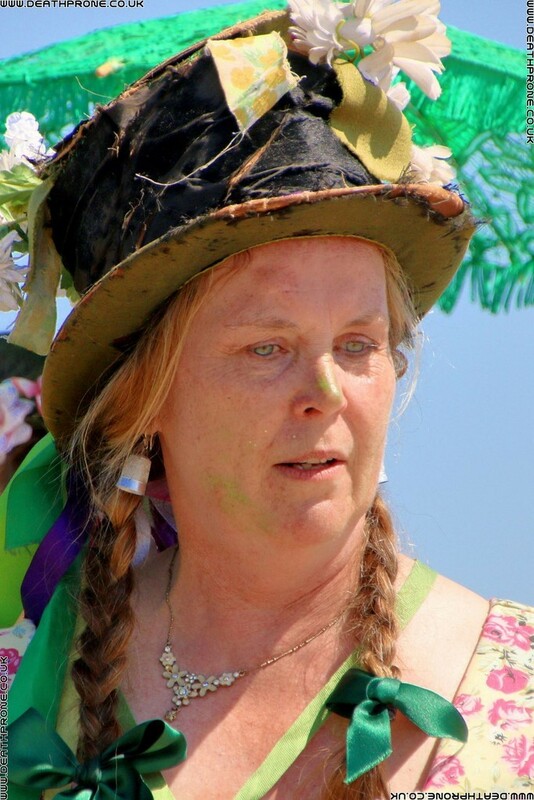 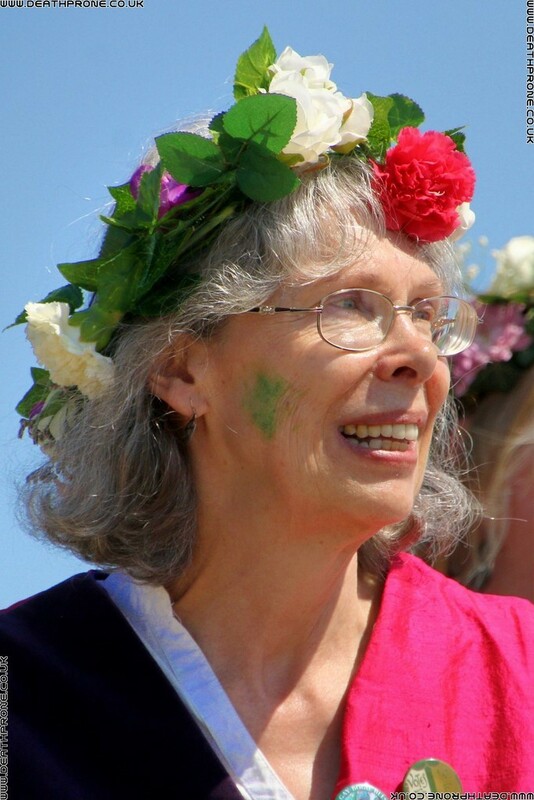 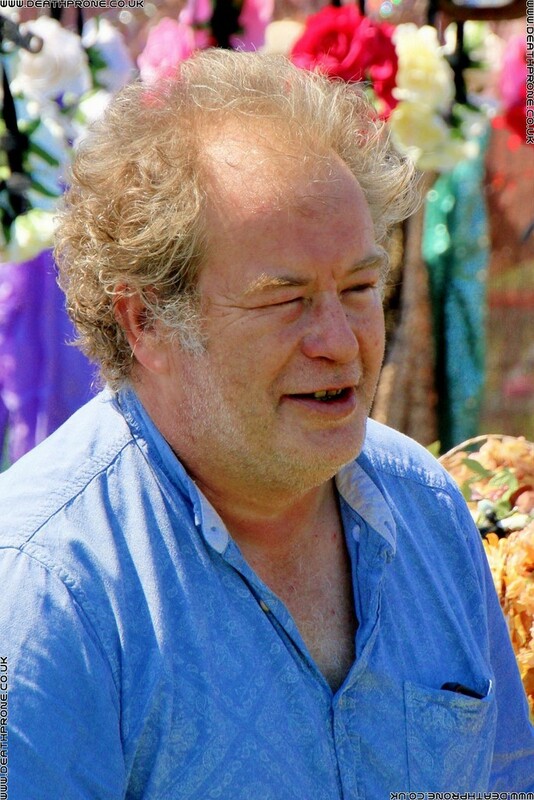 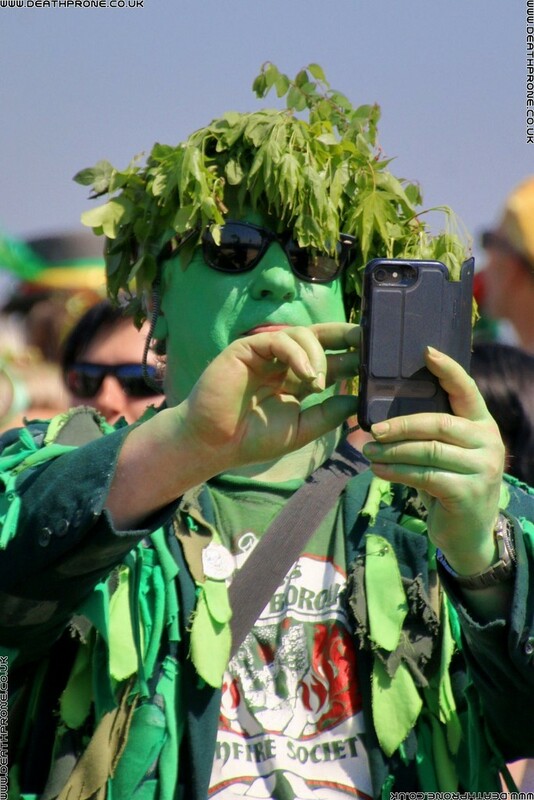 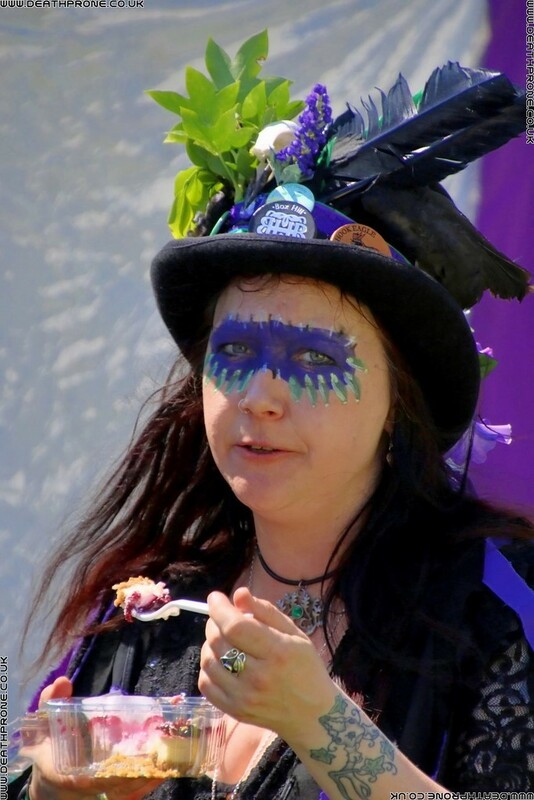 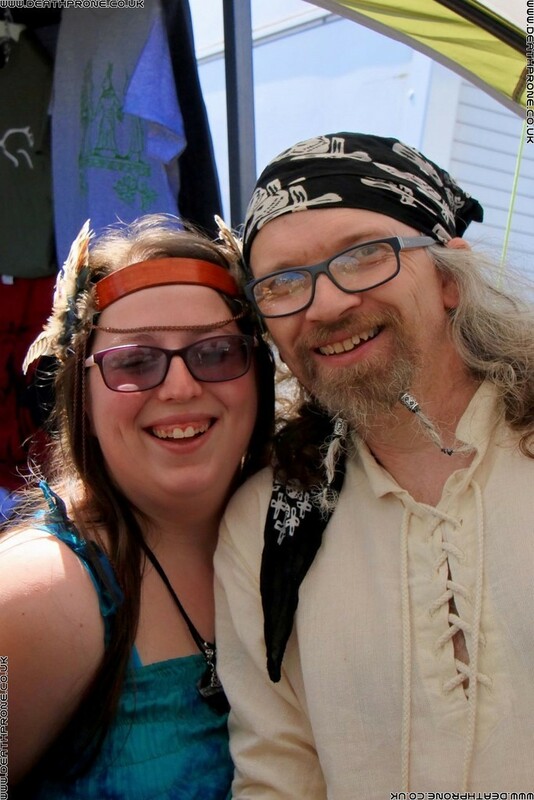 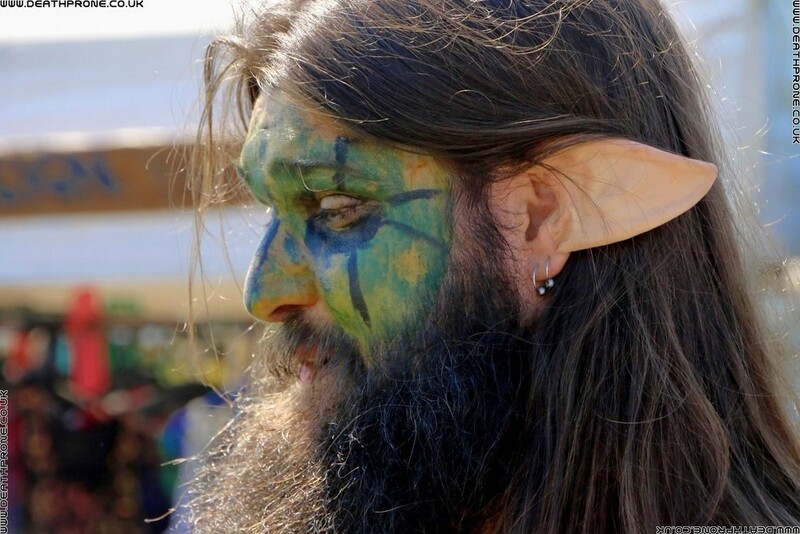 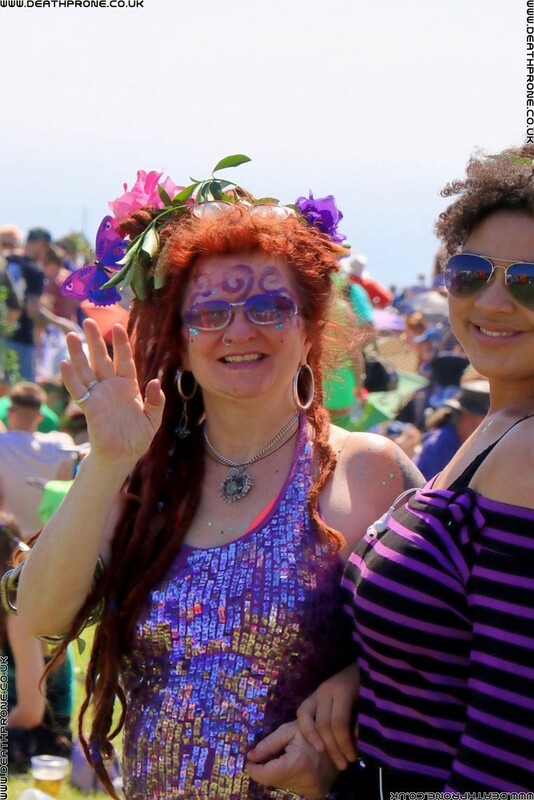 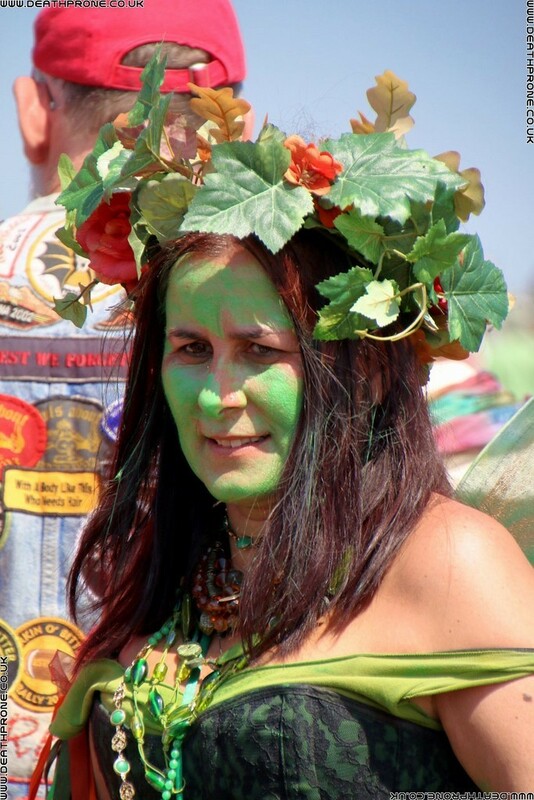 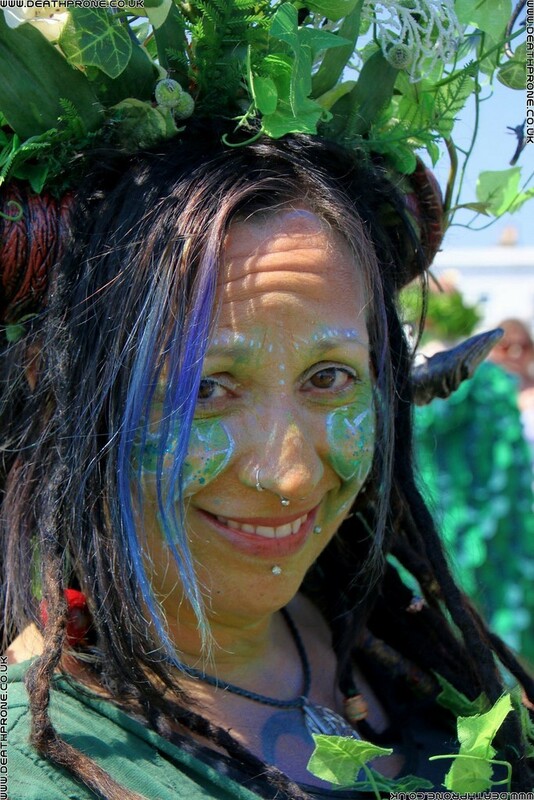 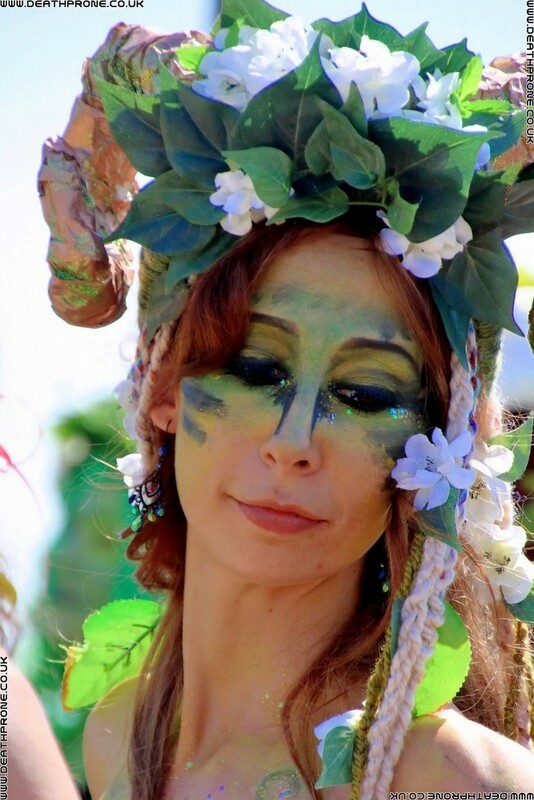 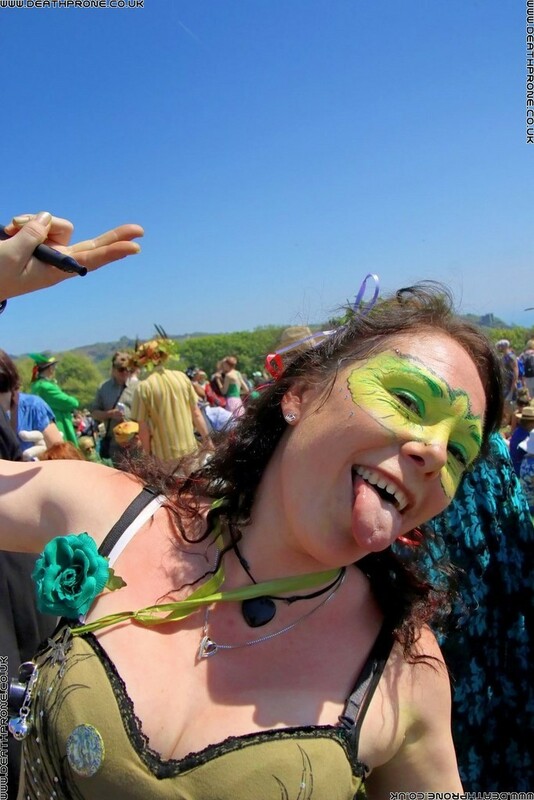 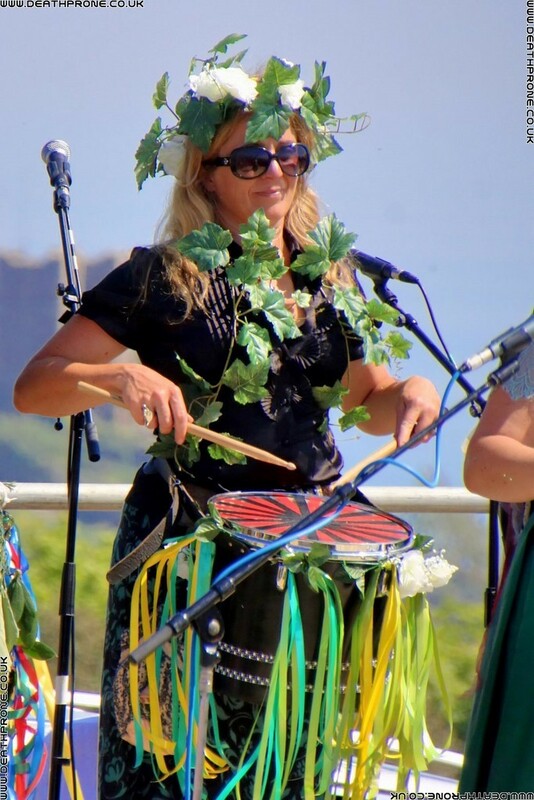 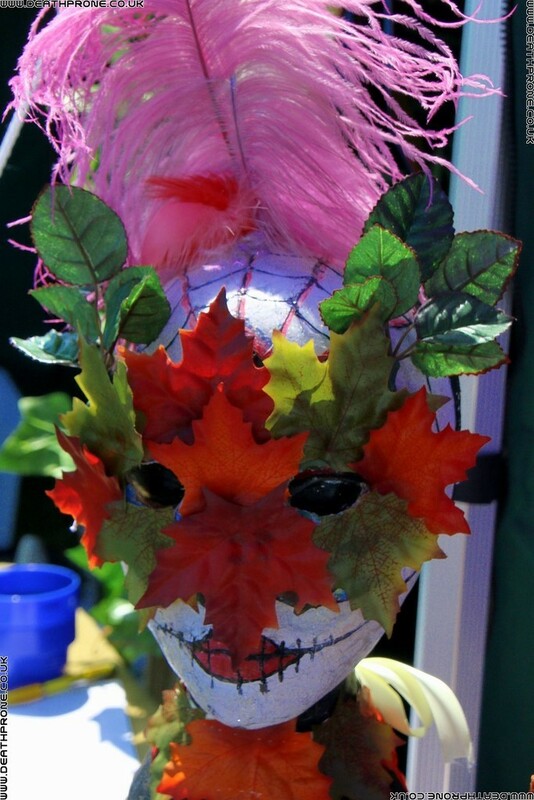 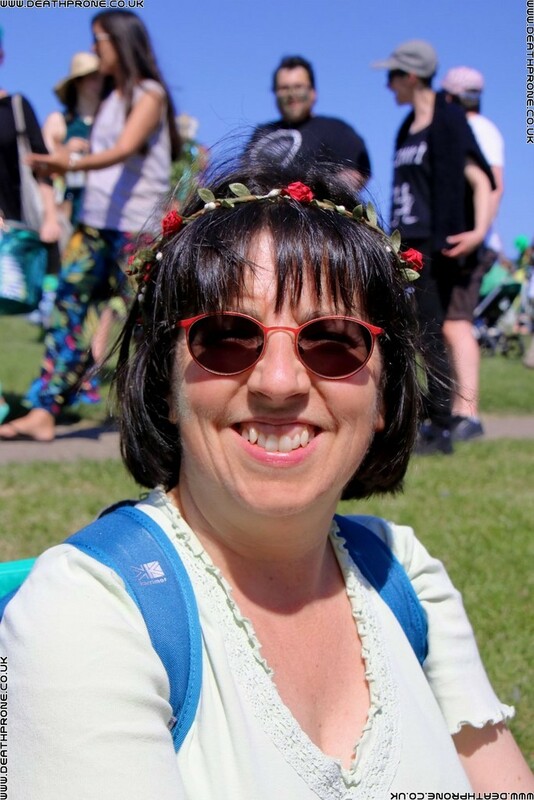 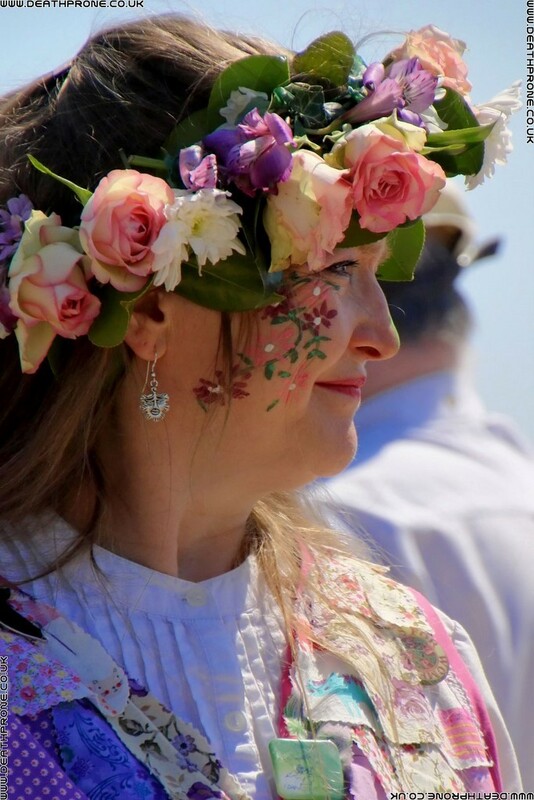 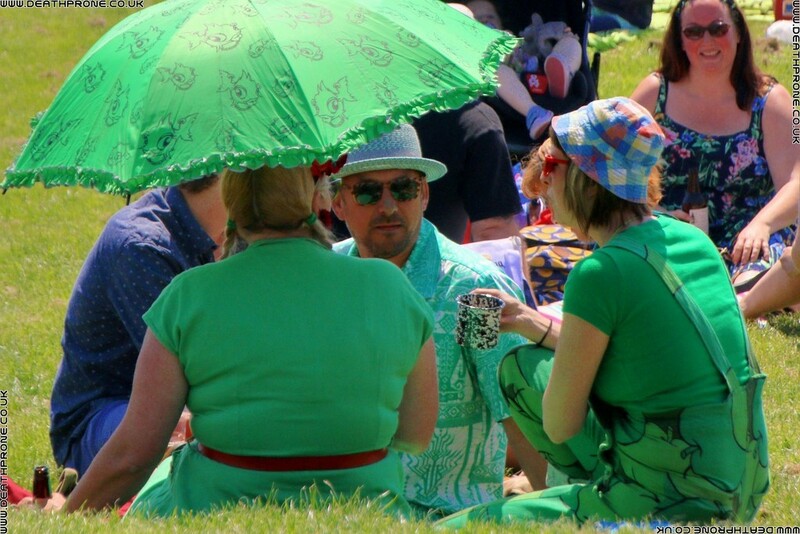 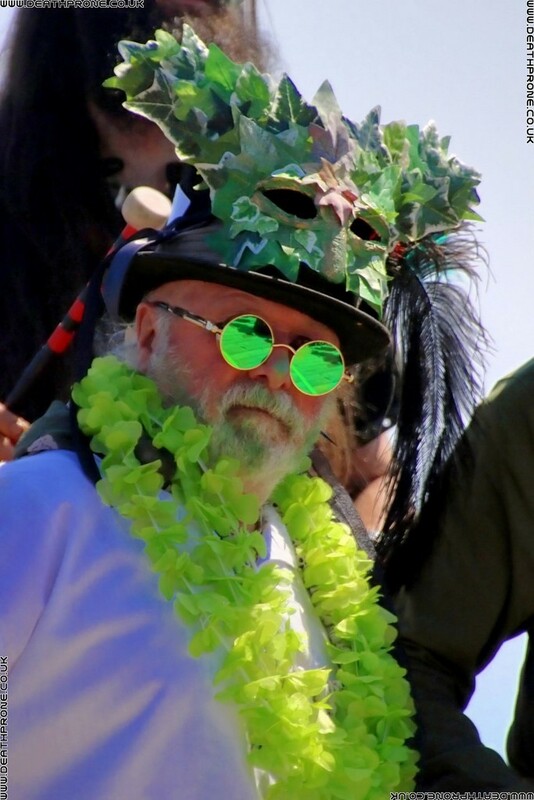 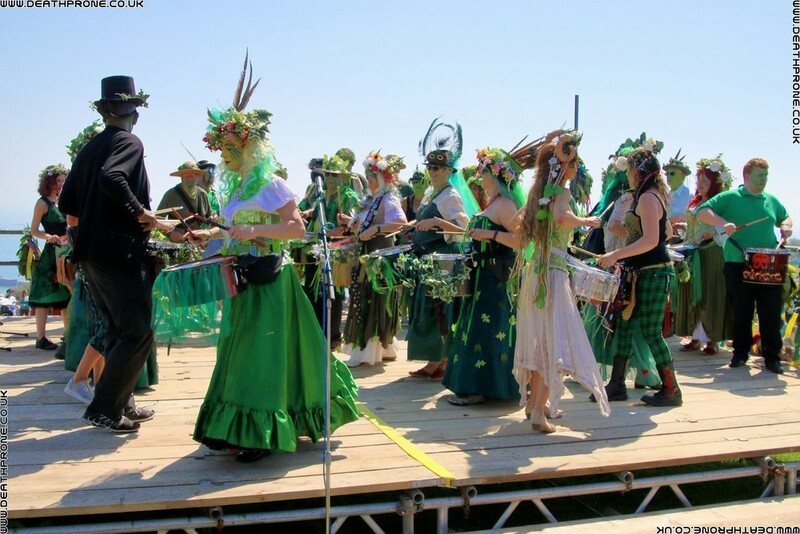 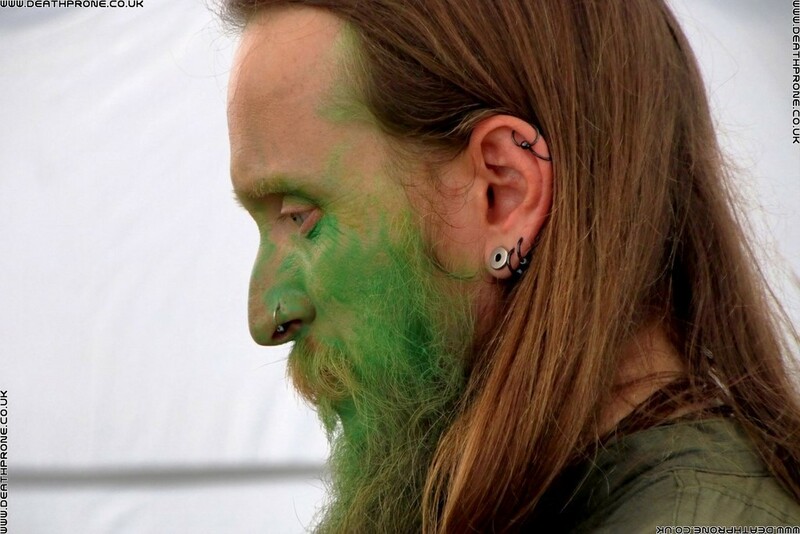 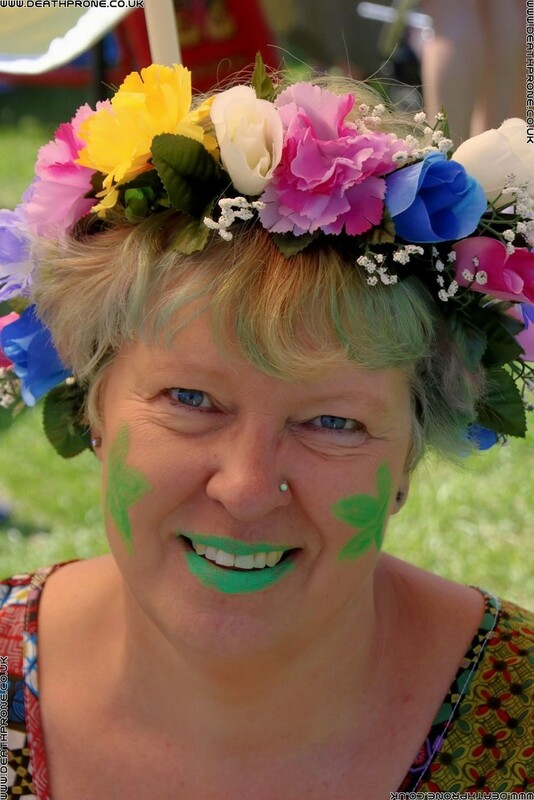 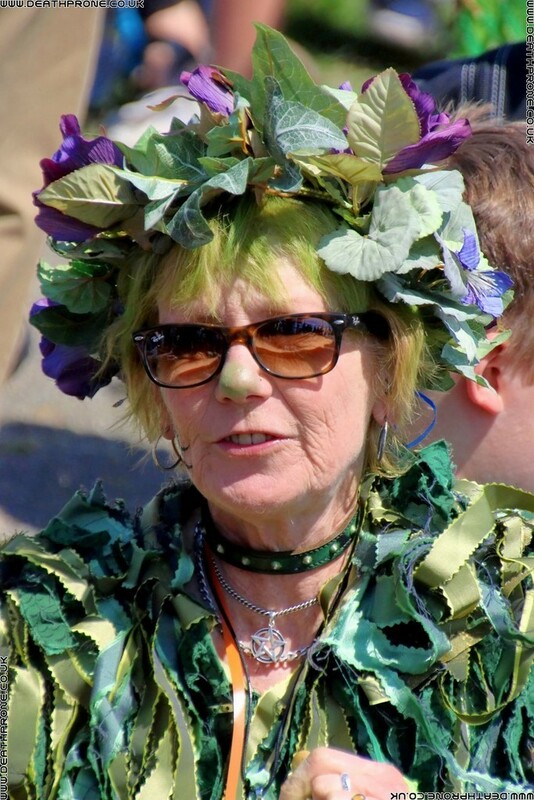 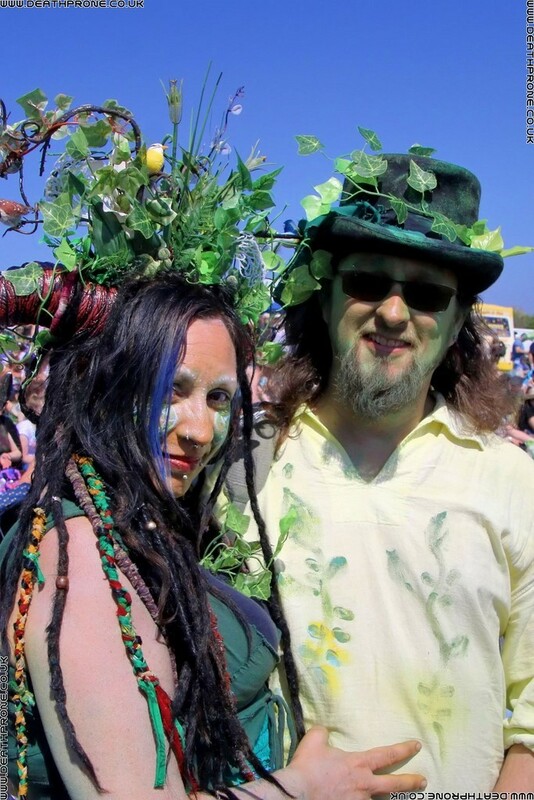 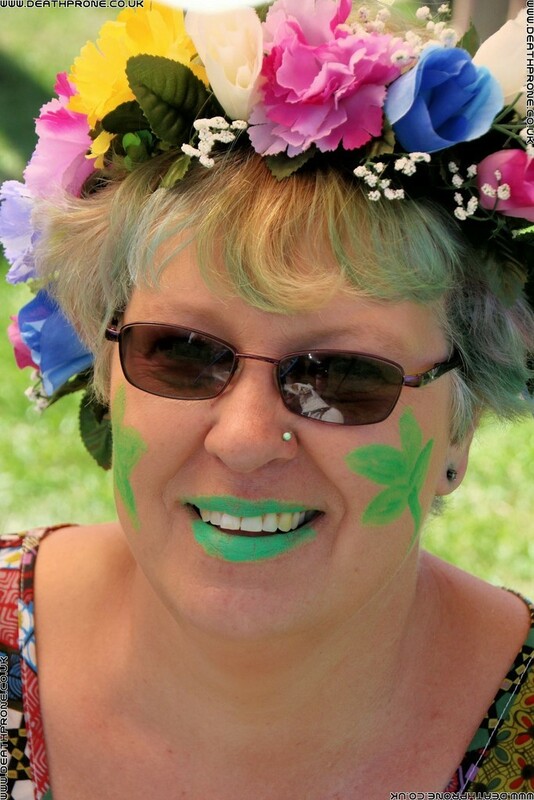 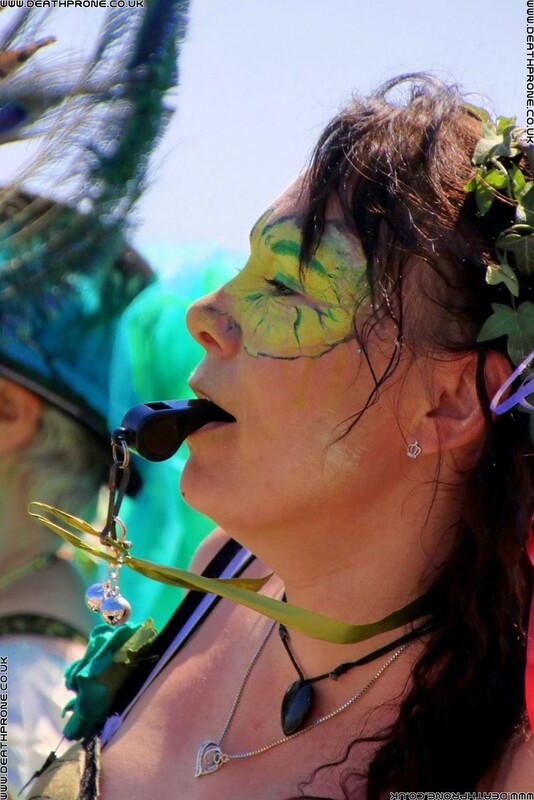 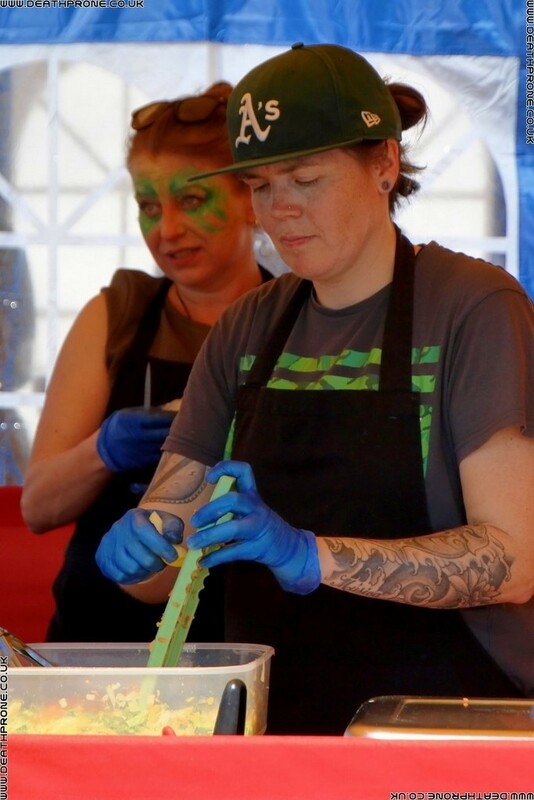 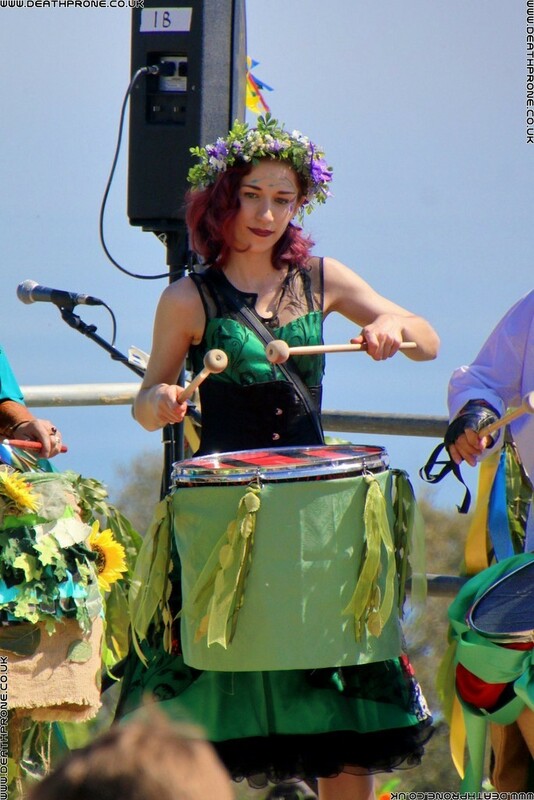 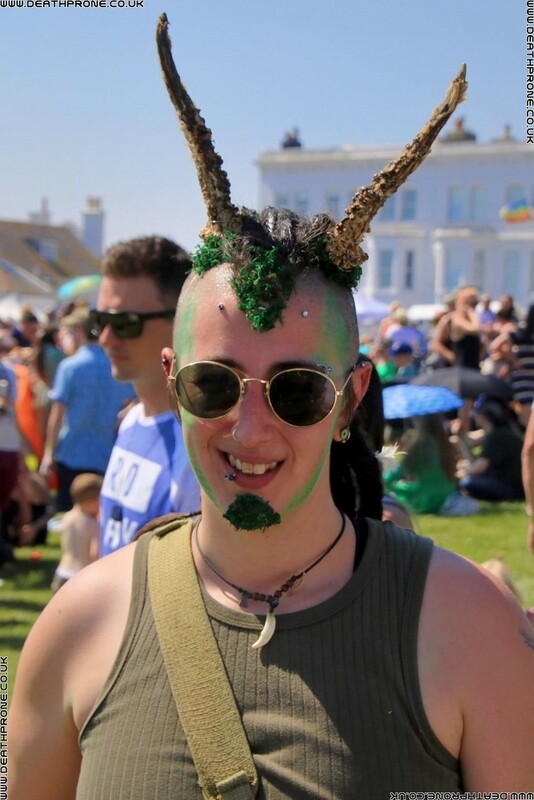 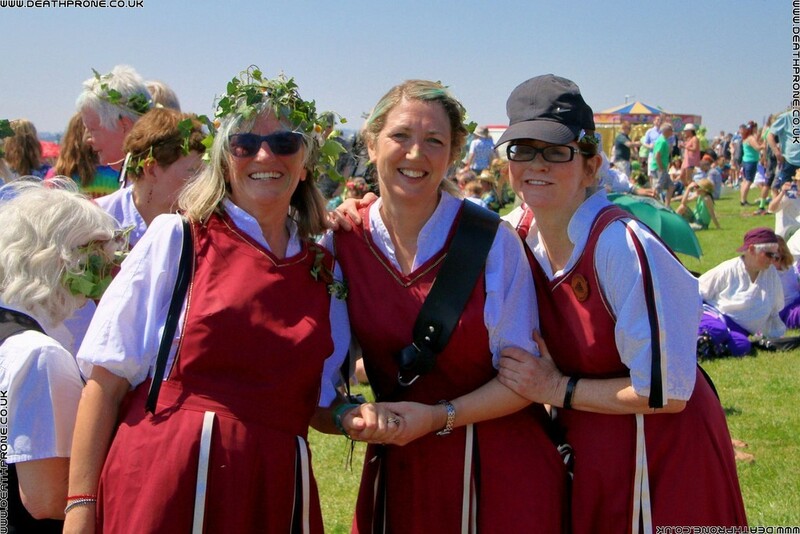 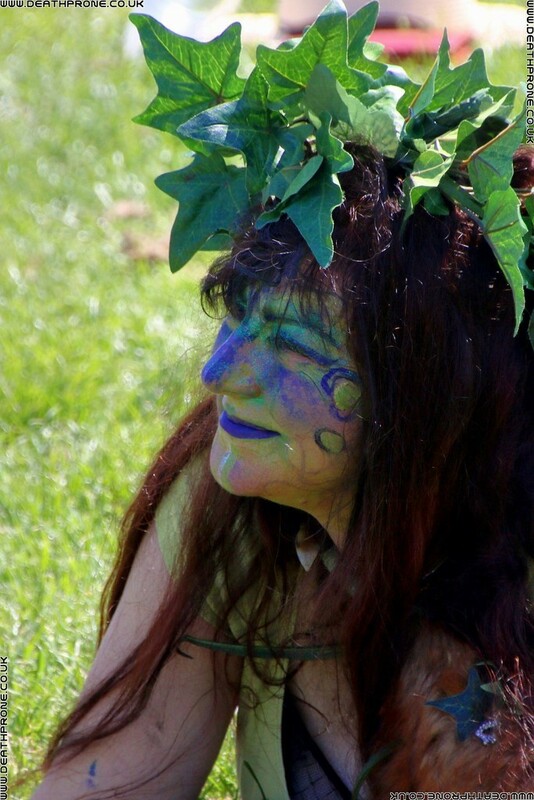 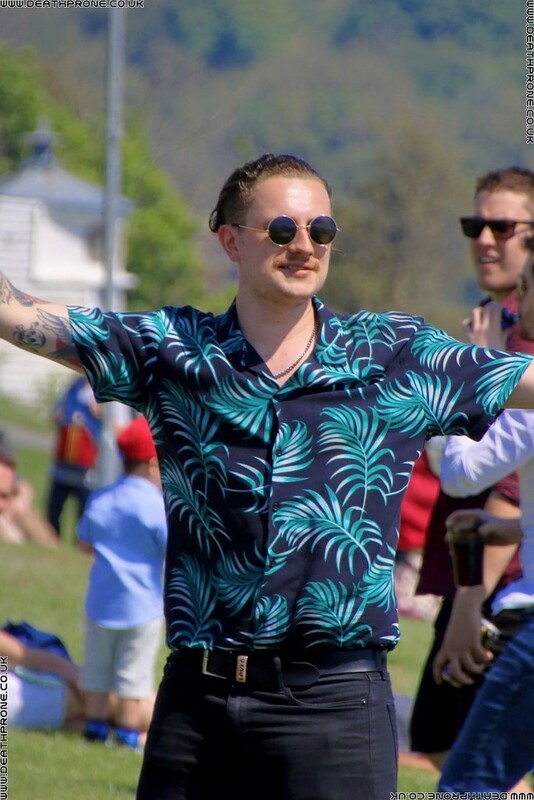 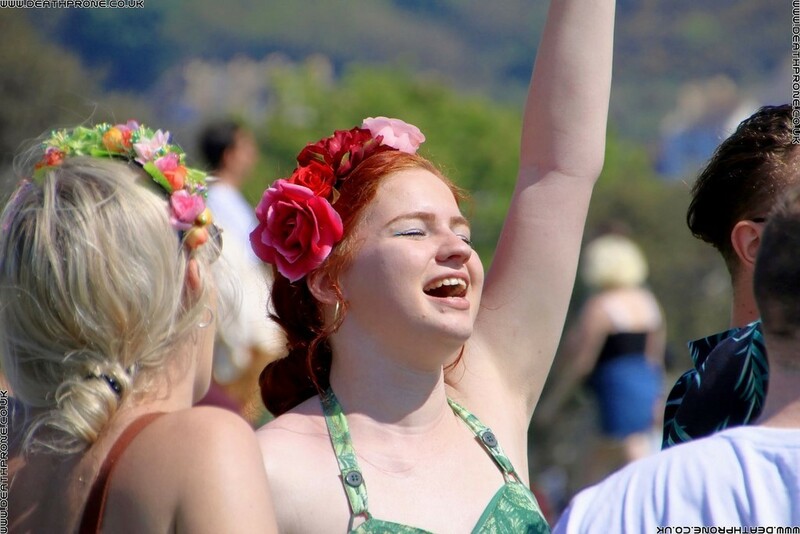 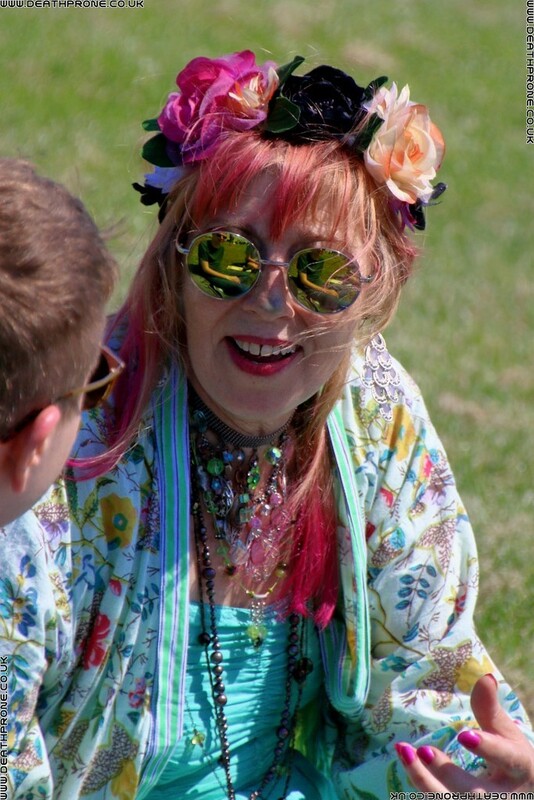 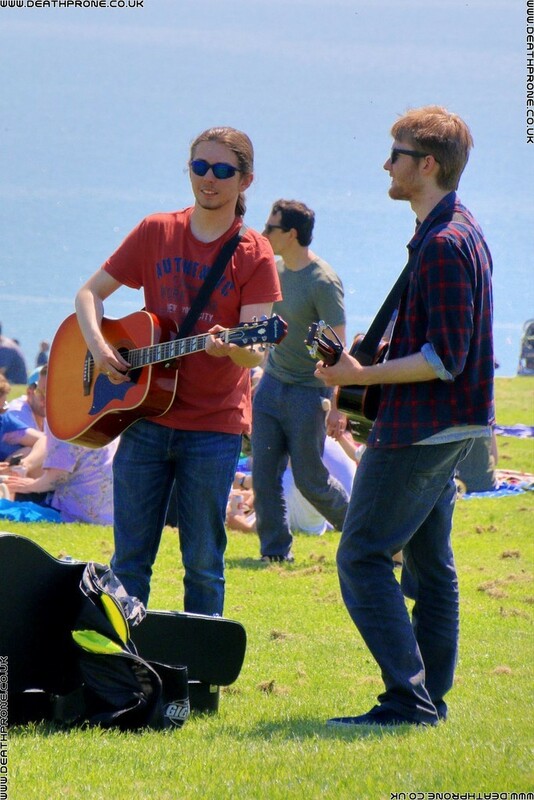 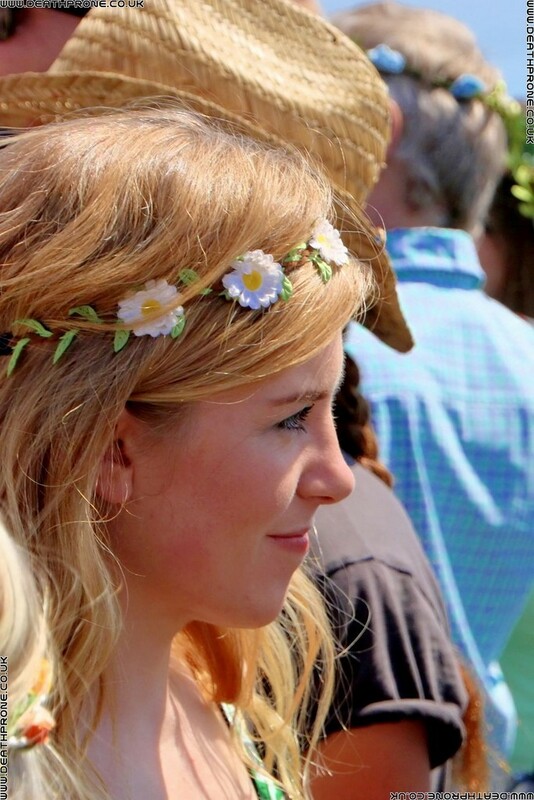 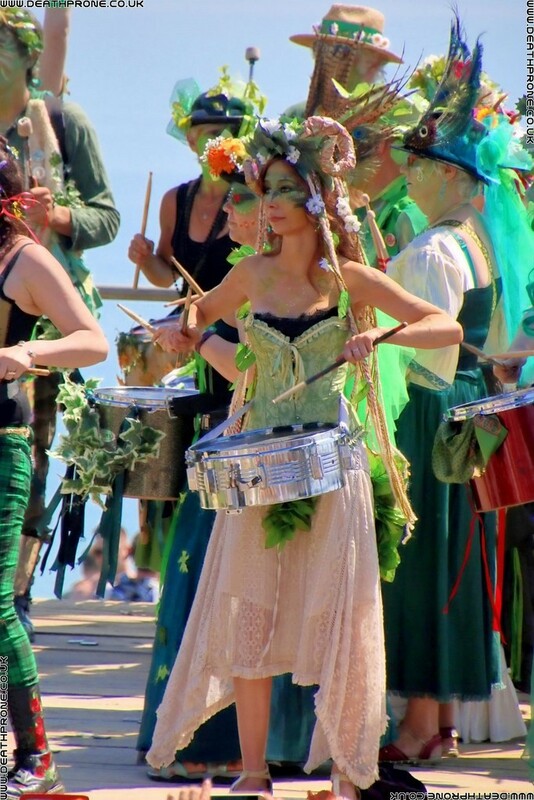 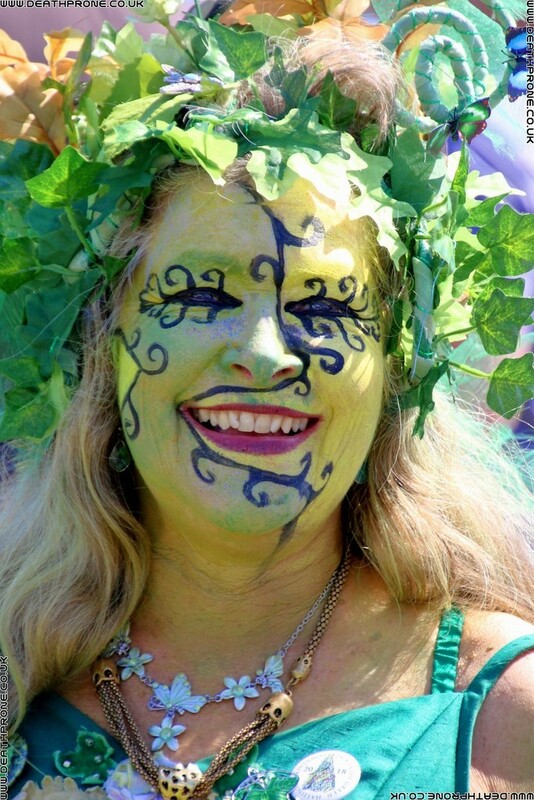 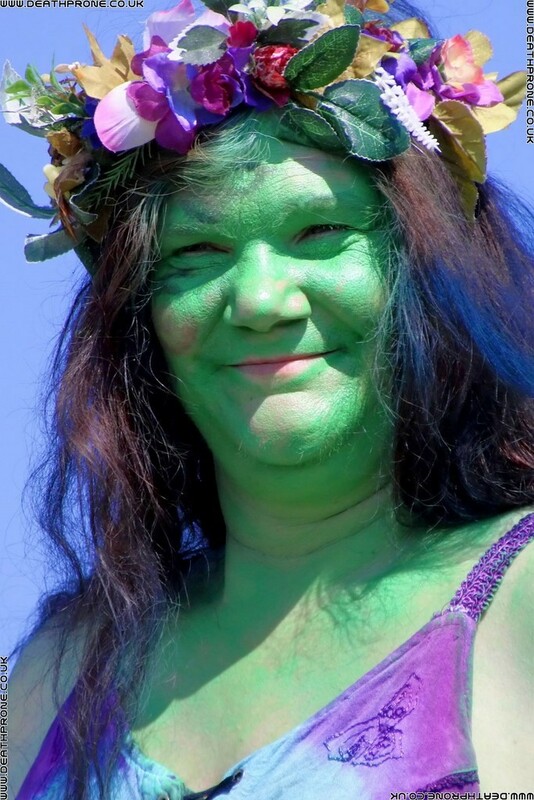 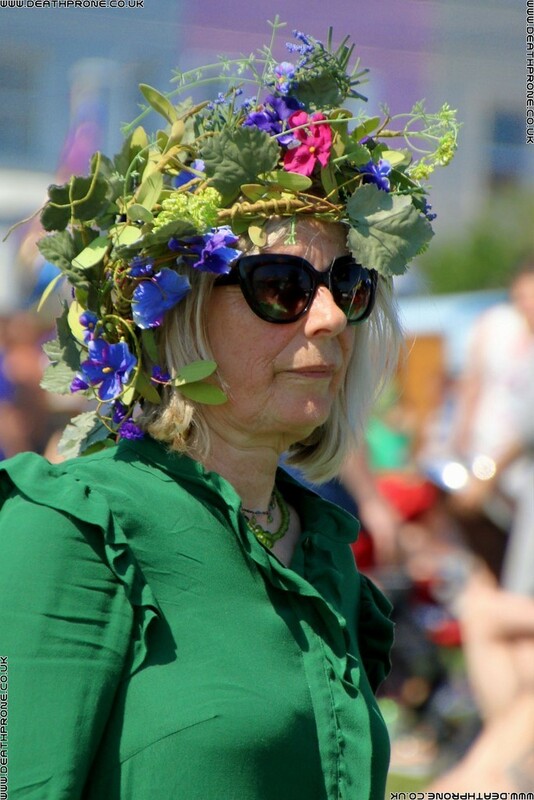 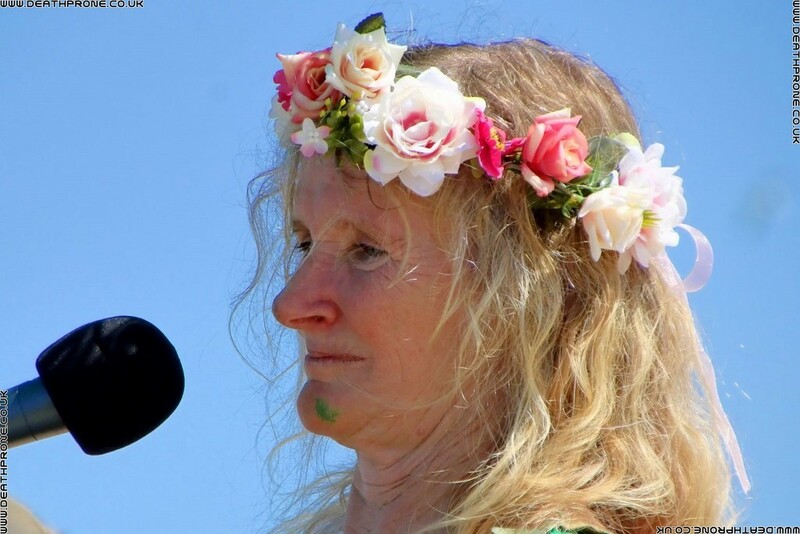 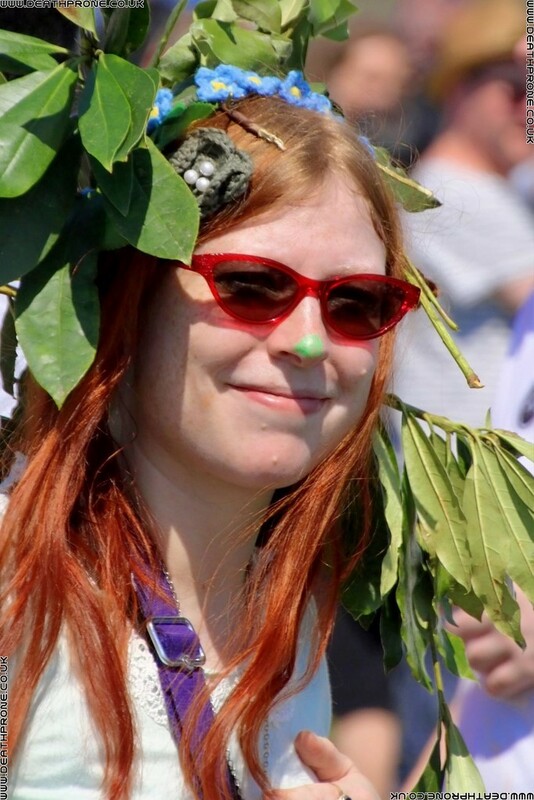 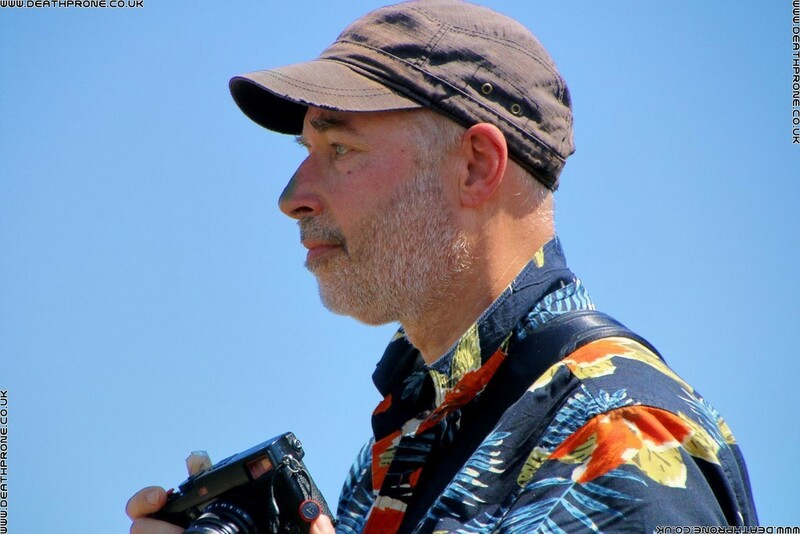 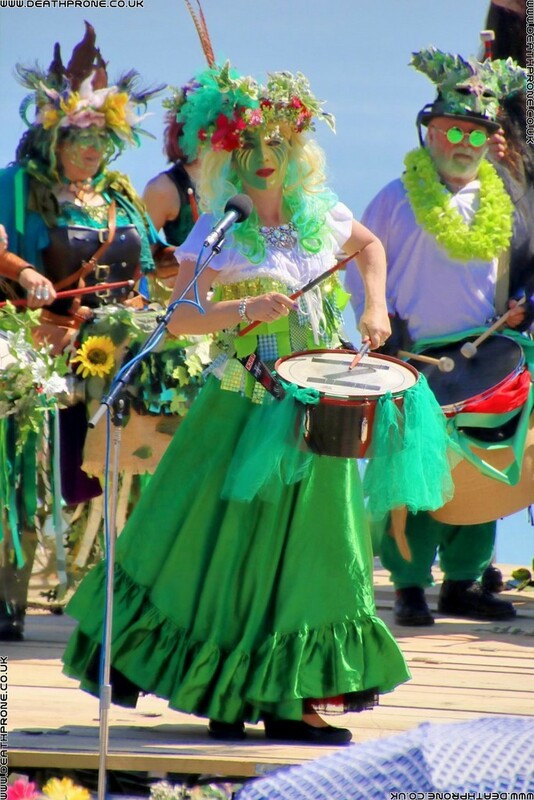 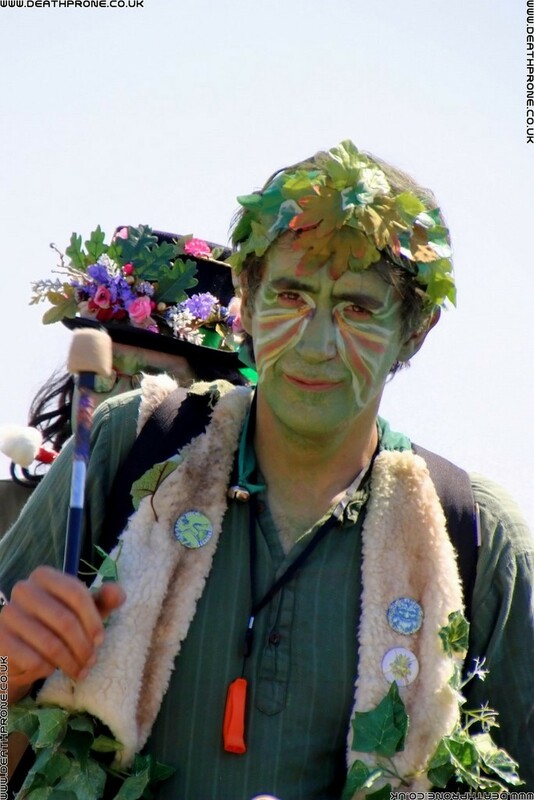 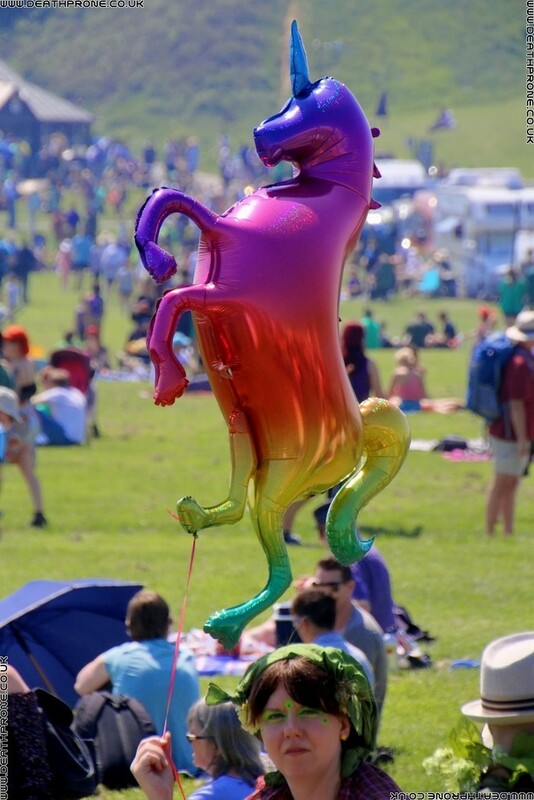 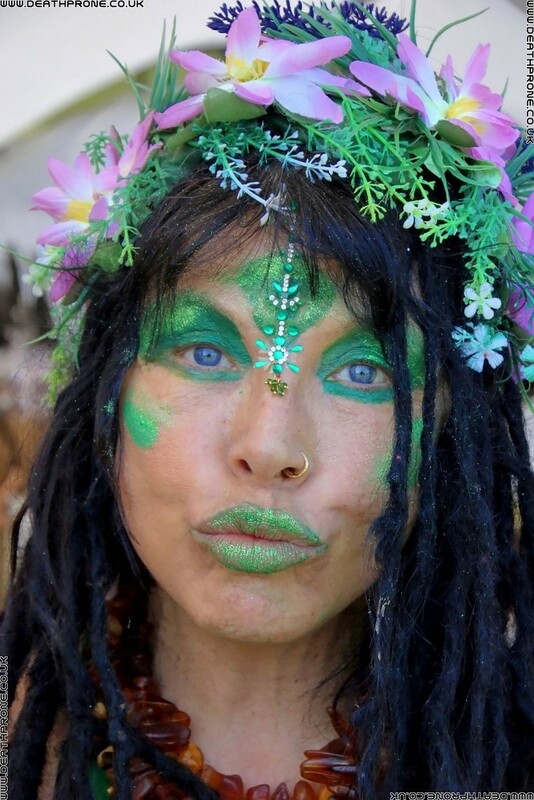 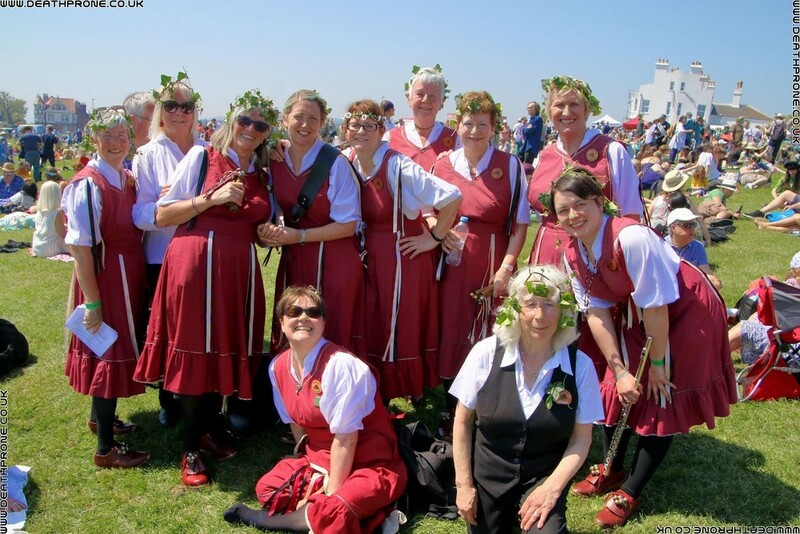 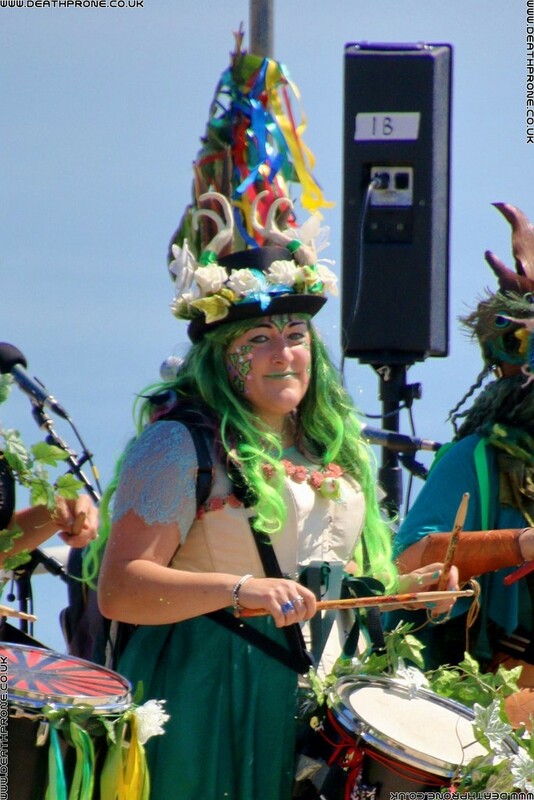 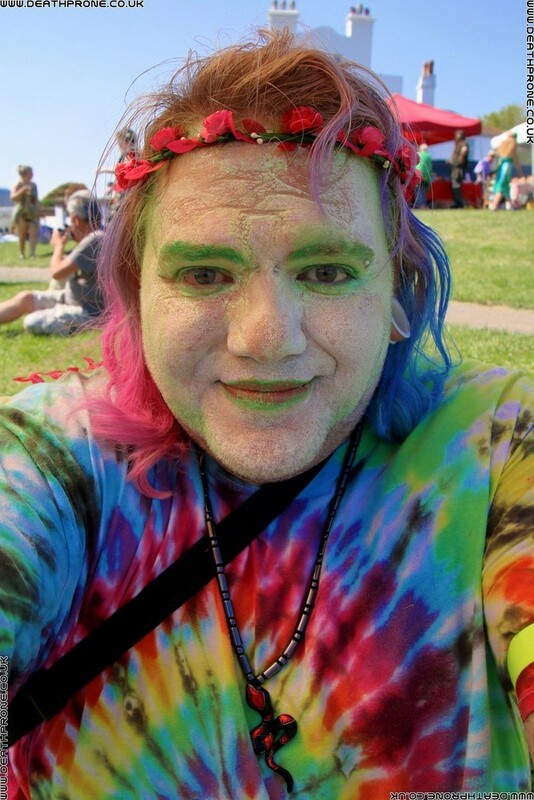 This event is to celebrate Beltane and is held about halfway between the spring equinox and the summer solstice, |Jack in the Green is always the first Monday in May which is May Day! 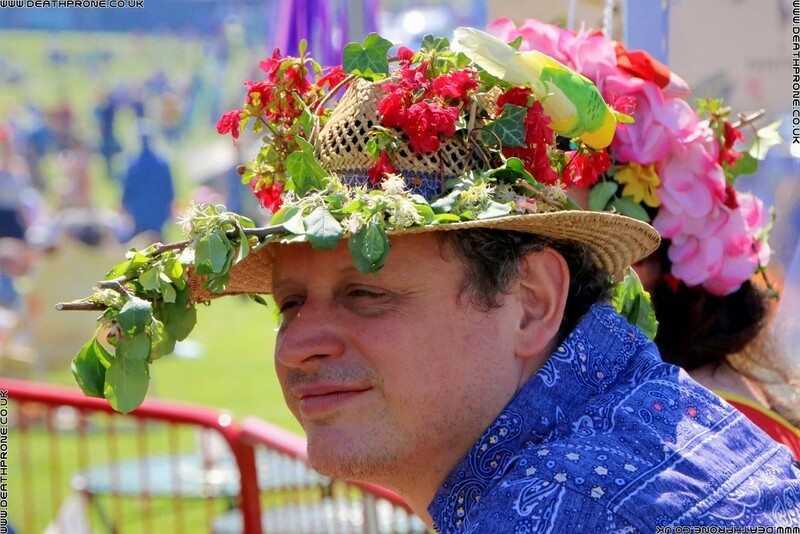 JITG has definitely become a huge British May Day tradition. 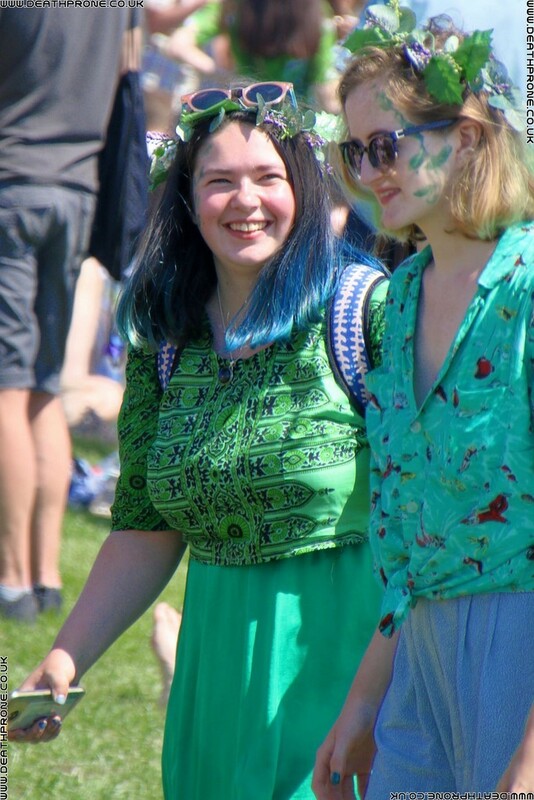 We got stuck in traffic, so missed the parade this year, but I don't mind, we still had an amazing time and I managed to get some good photos (I think). 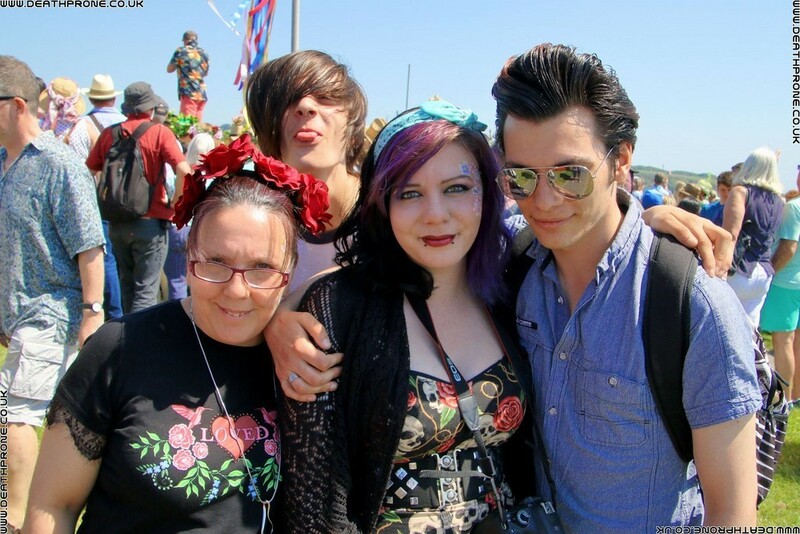 Really great to catch up with lots of friends, missed you all so much!!! 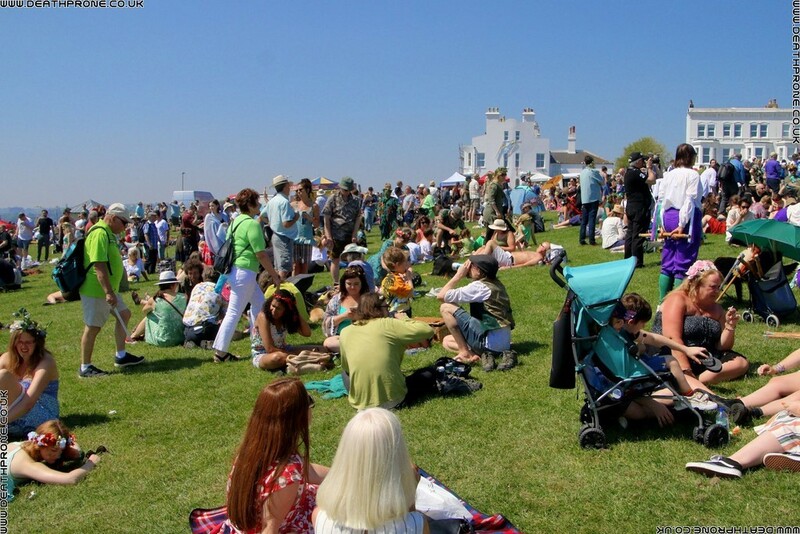 Next year we are planning to do the seafront bit, I used to be able to do both, but these days I struggle to do one or the other.